New Lower USPS Rates are now in effect. We are now a partner to have lower international shipping rates via large envelope. Most JNX original products can ship for the lower price. This is via the $7.95 shipping option for International customers, please keep in mind that this shipping method can take 3-4 weeks for delivery. For faster shipping, the 1st class box shipping is a better option and has better tracking which starts at $15.95 for most countries. 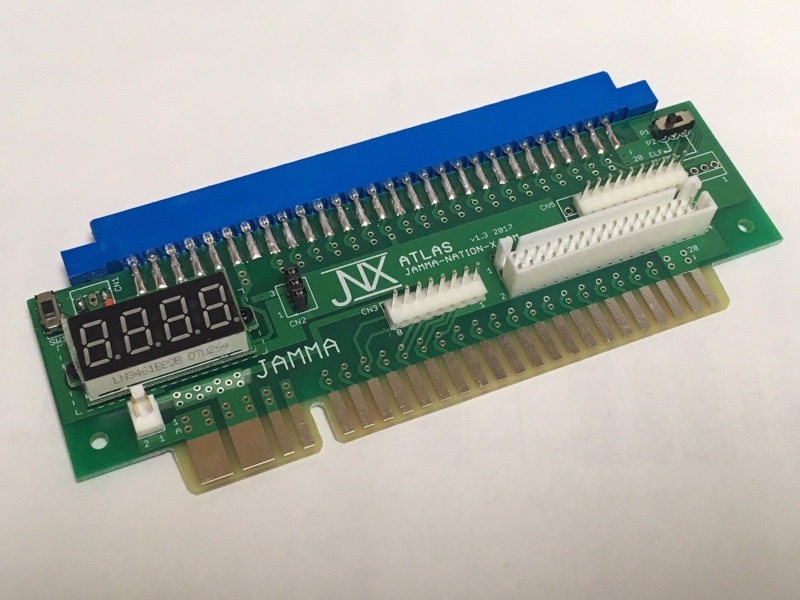 To view items available from the Jamma-Nation-X store, please use the navigation panel on the left. Clicking a main section will show you the available categories for browsing. Choosing a category will then display all available items within that category. Welcome to the Jamma-Nation-X store. Here you will find our list of currently available products. As noted, you can use the navigation panel to the left to browse the store, and any available items will be displayed. The items you find here will generally be available for immediate purchase and will range from home console games/carts and accessories to arcade parts and boards. For custom items/builds, please go to the services page by clicking the link at the top of the page to view the currently available services such as repairs, custom builds, and so forth. There you can click a particular service and this will allow you to send us a message with any additional information you may want to provide, and we will reply with further information. We accept various forms of payment as indicated at the bottom of the store navigation panel on the left. We handle everything through Paypal. If you do not have a Paypal account, you can still pay with your credit card. To purchase an item, simply click the 'Purchase Item' link under the item you are interested in and a confirmation panel will be displayed. Here you can see the current price of the item, be able to select any available options for that particular product, and when you are ready you may click the 'Add to Cart' button to add the item to your shopping cart. At this stage, you will then be able to select a quantity for the item, then either checkout or click 'Continue Shopping' to return to the store and purchase additional items. If a customer requests a refund due to change of mind when ordering there will be a 50 cent charge for the refund, this is due to Paypal's new refund charge. For all custom orders, full payment is required before work is started. This is to help keep costs down for the buyer as costs can change after the quote has been given for custom work. Once payment is made we will not raise the price unless the specific part needed is no monger being made and needs to be replaced with a more expensive part. We ship items using USPS and handle your shipping address information through Paypal. Therefore, please ensure that the information you submit through Paypal contains the correct address to where we should ship your items. Most items are shipped in 1-2 business days unless otherwise noted. For custom orders, we will provide you with a time estimate for completion of your order and shipping time upon placing your order, but please keep in mind that for custom products, these are indeed estimates. For International customers please use the contact us form if you need to order something. We currently only ship to the US and a few International locations but can try to accomodate you. If you place an order and there isn't a shipping charge we will contact you with a shipping quote. We do not make any money off shipping so what you are quoted are actual charges plus packaging. Please note that International First Class Shipping is done only on Saturdays. If your order was placed Sunday through Friday it will go out on Saturday of the same week. Shipping Discounts will be applied before the items are shipped out. In most cases items can be shipped together or in a Flat Rate box to save money on shipping. If you would like to know if your items qualify for a shipping discount please contact us before purchasing. 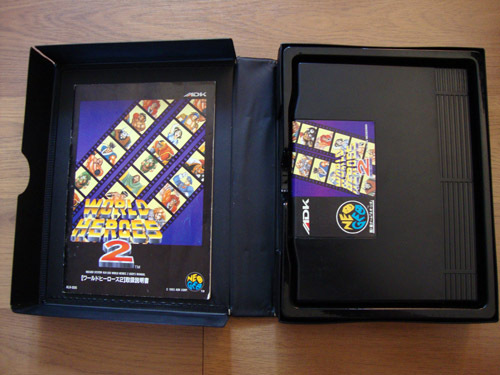 For MVS carts we are able to fit 8 in a Large Flat Rate Box which ships for $17.95 in the US. If you have any particular questions/comments/requests regarding the store, purchasing items, custom orders/products, or particular items you may be interested in, please feel free to contact us through the contact link at the top of the page. We will try to respond to your query as promptly as we can. No items currently available in this category. There are currently no items available for sale in this category. 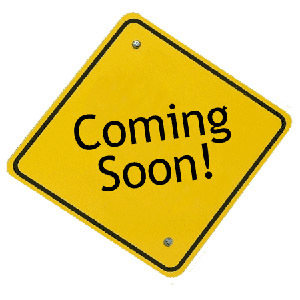 Please check back soon for updates or feel free to contact us if you have any questions. This is the JNX GOTW short for "Gate of the Wolves". 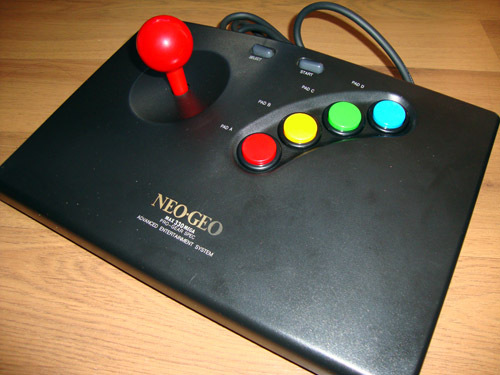 It is a replacement gate for the Neo-Geo Old Style, New Style and Neo-Geo X joysticks. It replaces the stock square gate with an octogate making it easier to pull of special moves in game. 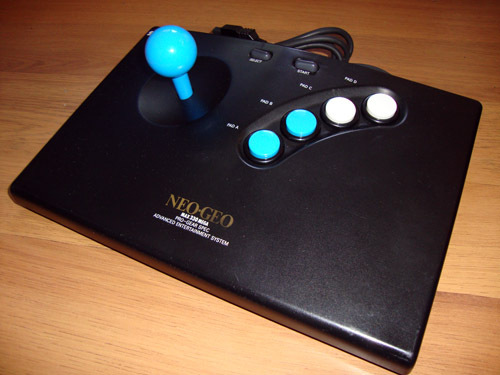 The white version fits all three Neo-Geo joysticks, the clear version only fits the Old style stick and NGX stick. Installation is very simple and only consists of removing a few screws and swapping the GOTW in. 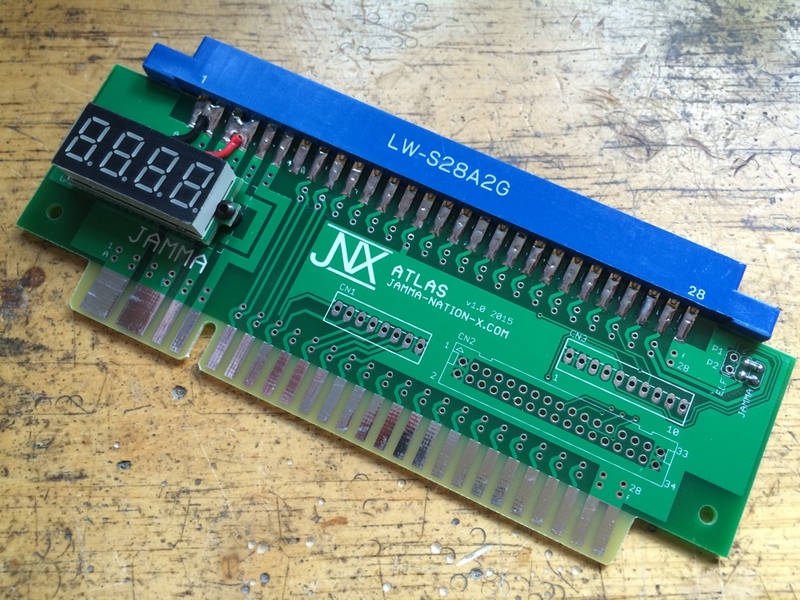 This is the JNX Atlas. It is both a Voltmeter and Pandora/Blue Elf JAMMA adapter. 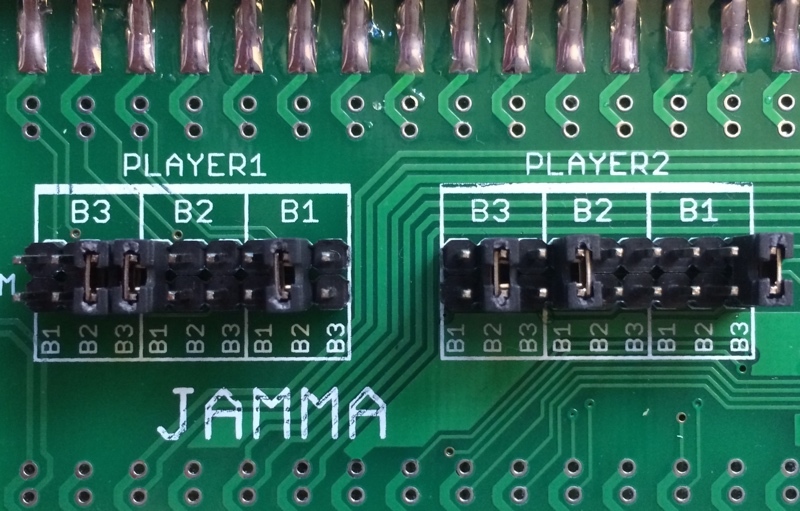 The pinout can be changed between Pandora/Blue Elf and JAMMA pass through simply by moving two jumpers. 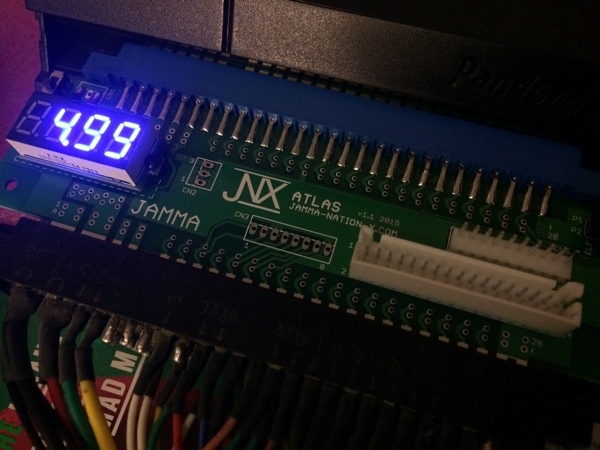 The JNX Atlas supports both CPS1 and CPS2 kick harnesses. Just plug in and play using your existing kick harness, if you need an adapter for your kick harness just let me know, they can be purchased for $15. 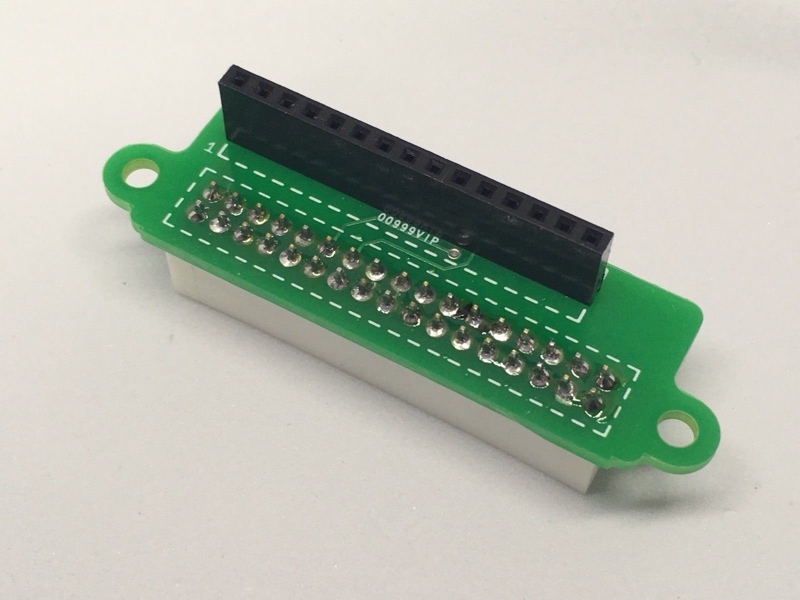 Make sure you select either CPS2 or CPS1 or both during checkout for the kick harness connector you want installed as well as "No voltmeter" if you only want the normal adapter. If you want everything, get "The Works". It has everything the DLX has with addition of having a Negatron installed. ***Keep in mind that when ordering a "The Works" shipping time depends on negatron availability. If none are on hand, they are ordered and then your order will ship as soon as they arrive. Average turnaround time is 1 week from time of order if ordered on a Week day. ***Current Version is 1.3, now supports Midway H1 kick harness for cabs like Mortal Kombat 2-4, Killer Instinct 1-2, War Gods and Wrestlemania. 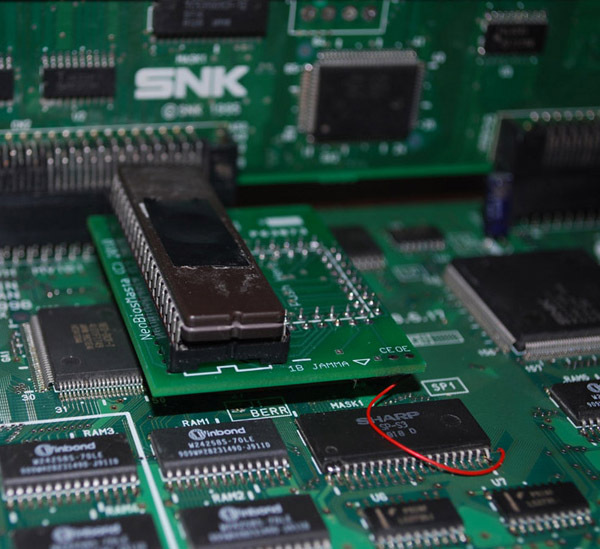 Note that Midway and CPS1 connectors use the same space so you can only choose one or the other. This is the JNX Big Red. It is a JAMMA to MVS adapter. Play your JAMMA boards in your MVS multi slot cabinet. 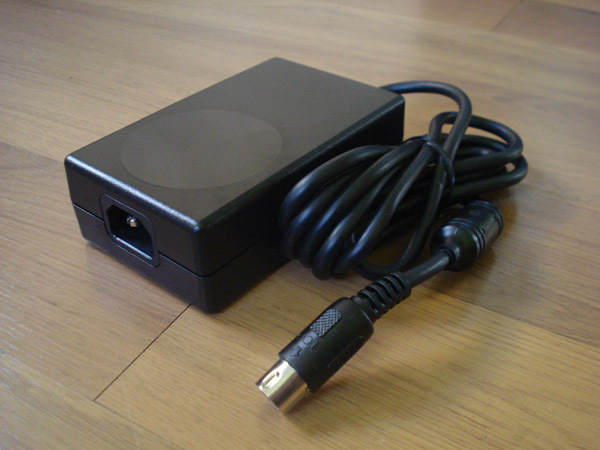 This adapter converters the audio to be safely played in an MVS multi slot cabinet. ***If your cabinet's audio wiring is setup as parallel, then this adapter will not work for you. It is meant for original MVS multi slot cabinets that have their speakers wired in series. Using this adapter in a parallel wired cabinet can damage the audio amp on the JAMMA board. 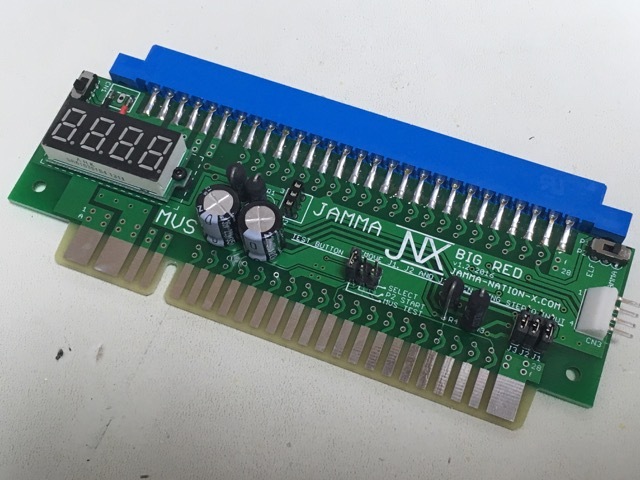 The JNX Big Red also lets you reroute the JAMMA test button to three different locations. By simply moving a jumper you can move it to: MVS Select Button, P2 Start Button or the MVS test switch. 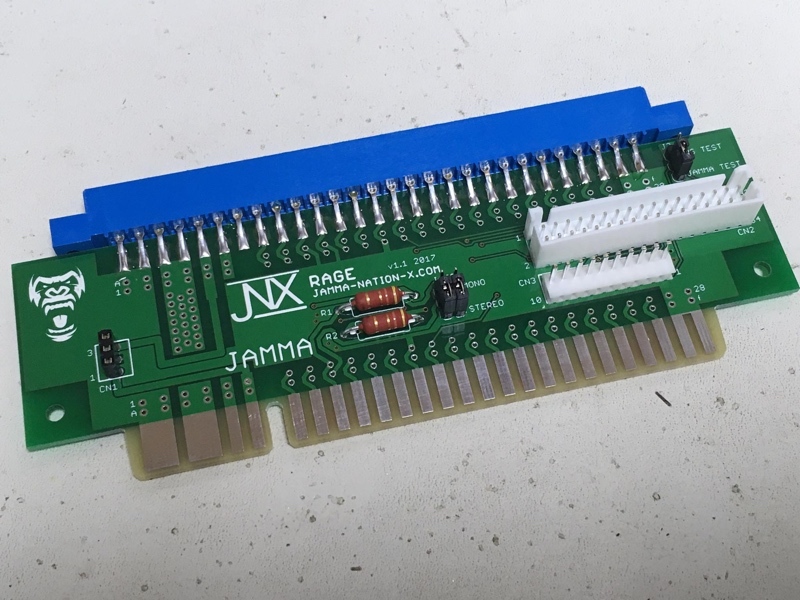 This is the JNX Rage JAMMA adapter. 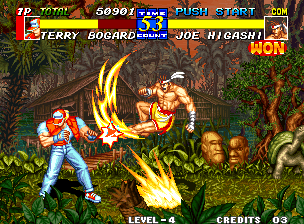 It is used to play your Primal Rage arcade PCB in a JAMMA or JAMMA+ cabinet and even MVS cabinet. 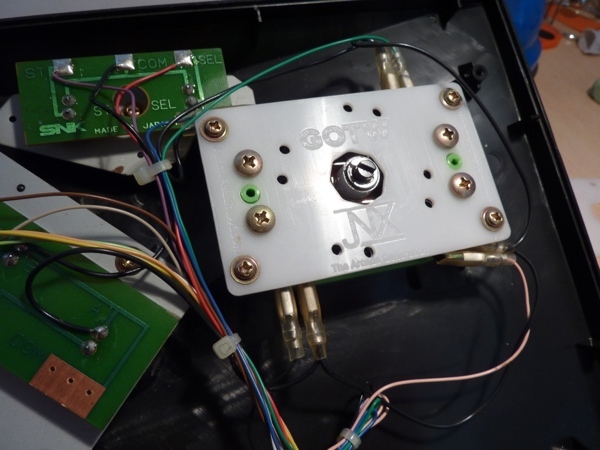 The adapter supports both mono and stereo output (by moving jumpers) as well as moving the test switch location from the normal JAMMA location to the MVS location. 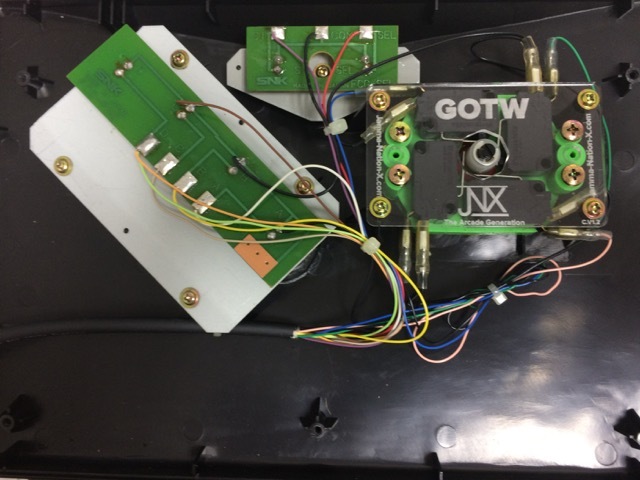 The JNX Rage when using the kick harness connectors maps the buttons in the following order for the correct layout in a 6 button cabinet. The JNX Rage also supports the negatron to add -5v to power the audio section of the board if your cab doesn't have a -5v supply. 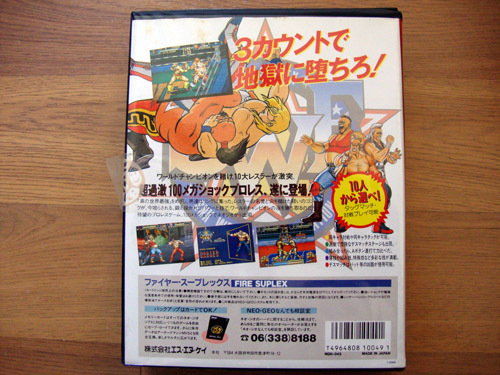 ***Current Version is 1.2, new version now supports the Midway H1 Kick Harness for game cabinets like Killer Instinct 1&2, Wargods, Mortal Kombat 2-4 and Wrestlemania. This is the JNX Lazy Finger. 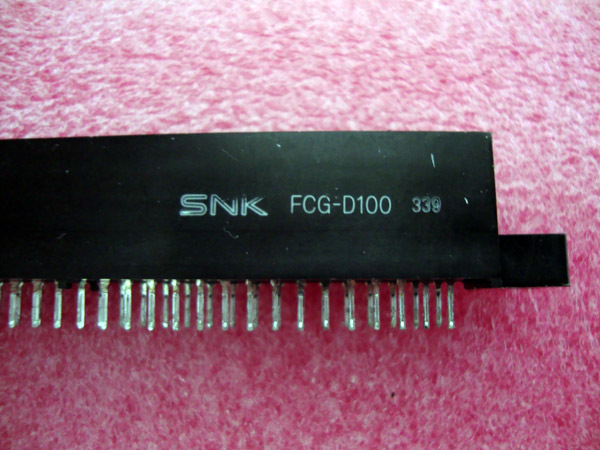 It is an inline rapid fire device for use on NeoGeo systems or any supergun with DB15 Neogeo based controller ports. It is complete passthrough and supports rapid fire on both the A and B buttons with individual on/off buttons. Use the knob to adjust fire rate to your liking on the fly. Use with a Neo Geo controller extension cable for best results. Lions3 offers 3D printed enclosures in various colors and color combinations. 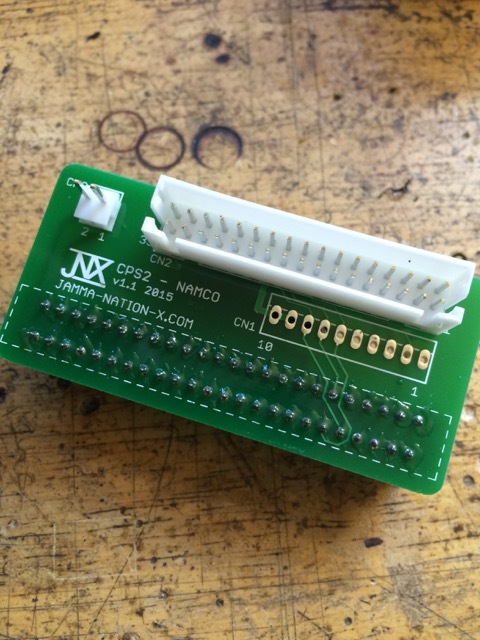 This is the JNX CPSX to Namco Kick Harness Adapter. 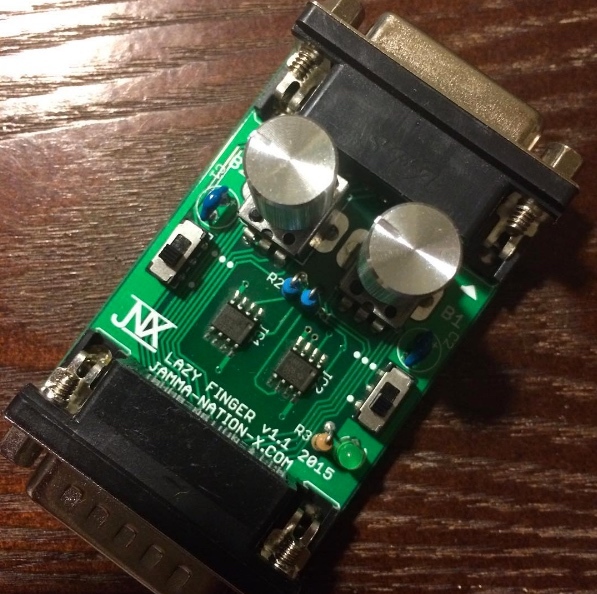 Simply use your existing CPS1 or CPS2/3 Kick harness and slide on the adapter to your Namco System 11/12 PCB aux connector. 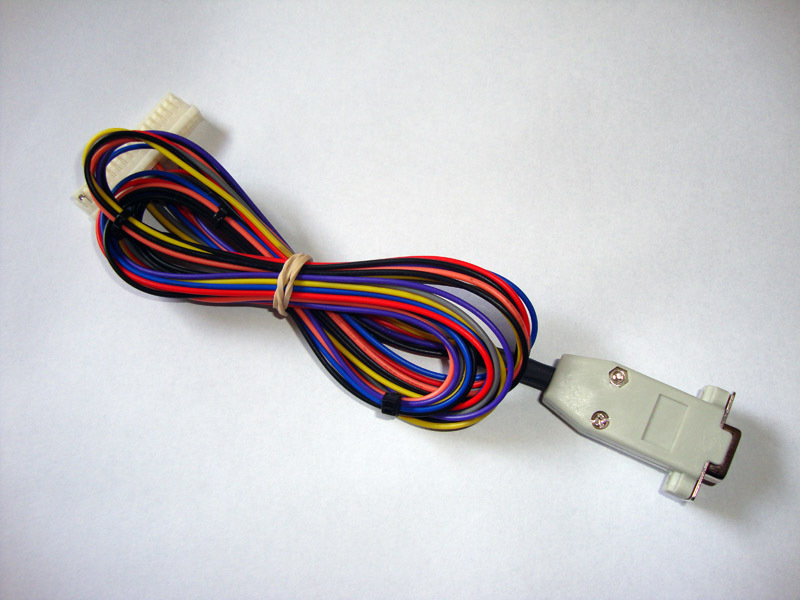 Choose which connector you need, either CPS2, CPS1 or DLX which includes both. 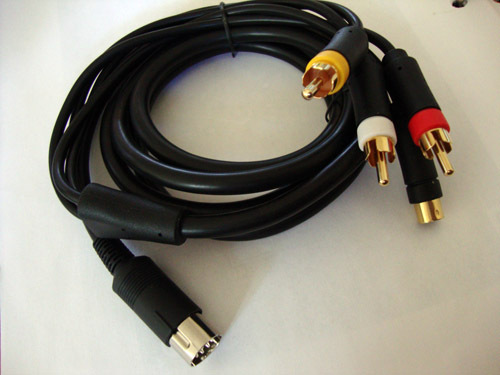 If you need the additional audio cable for the right channel(For stereo cabs), please add the cable to your order from the same drop down menu. This is the JNX Raiden. 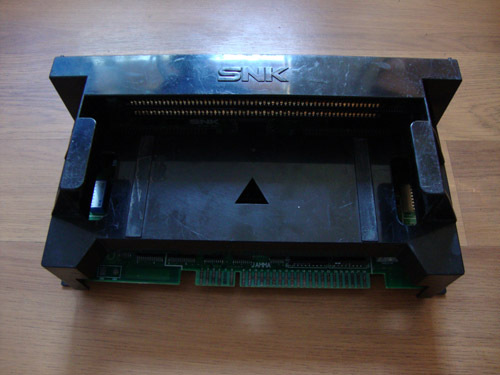 It is a CPS1 and CPS2 to Mortal Kombat 1 and Midway H1 Kick harness adapter. 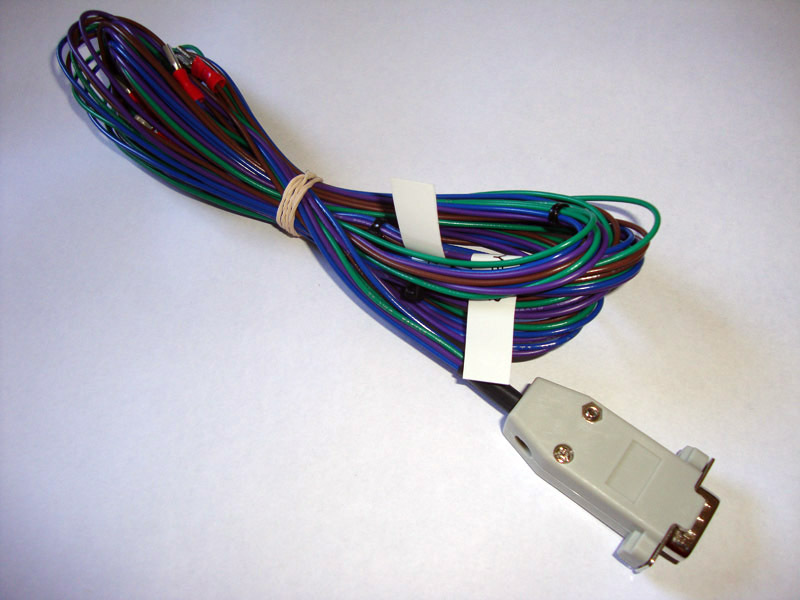 Simply plug in your existing CPS1/CPS2 kick harness and use one of the supplied adapters to plug into your Midway PCB kick harness header. Supplied adapter cables are two feet in length. If you need more adapters, they can be added to your order below. The JNX Raiden also lets you reroute buttons, if you prefer to have the MK run button on a certain kick button, just move the jumper to the position you want. You can do this with Run, Low Punch and Low Kick for Mortal Kombat. 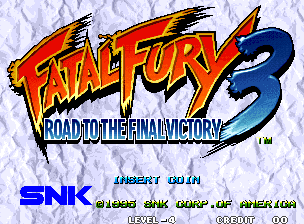 The reroute feature only works when going from CPS1/CPS2 to MK1 and Midway H1 and vice versa. 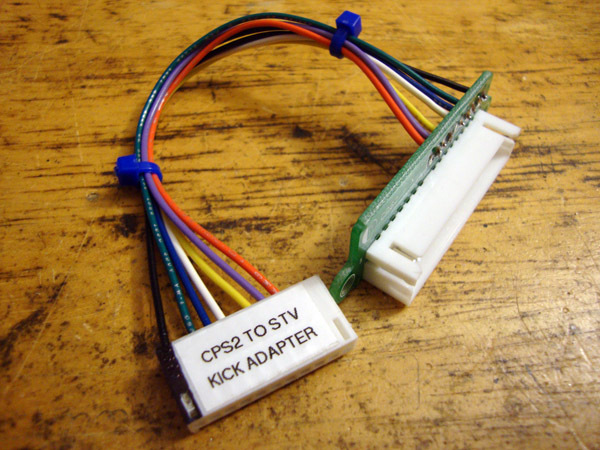 This is a CPS1/2 Kick harness adapter. 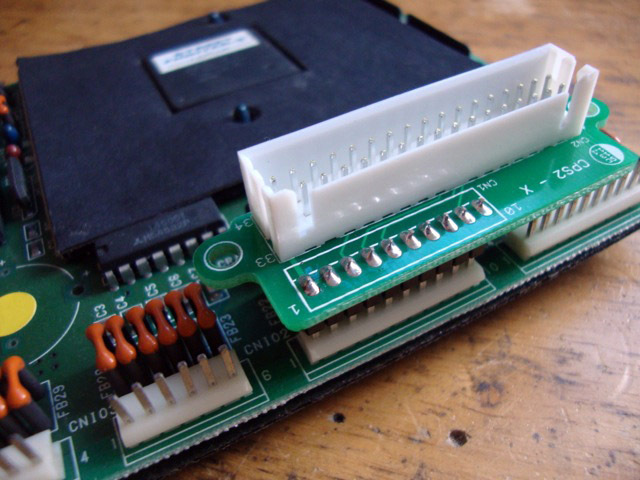 Use your existing CPS1/2 kick harness on a CPS1, CPS2, Midway H1 board. Just plug and play. This is the JNX GOTW short for "Gate of the Wolves". 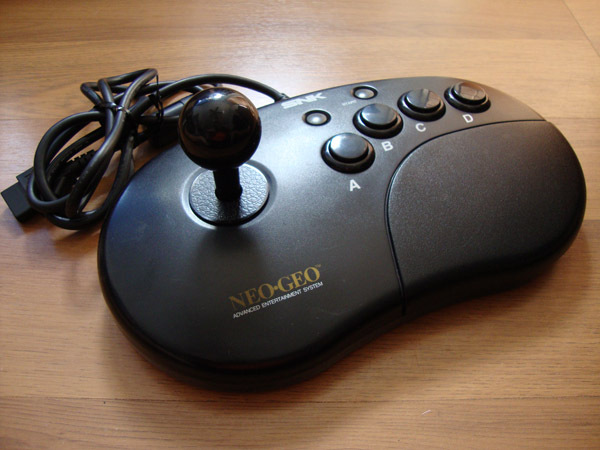 It is a replacement gate for the Neo-Geo Old Style, New Style and Neo-Geo X joysticks. It replaces the stock square gate with an octogate making it easier to pull of special moves in game. 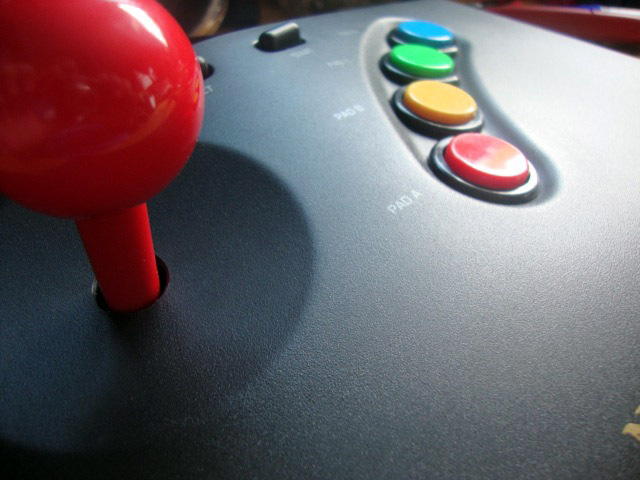 The white version fits all three Neo-Geo joysticks, the clear version only fits the Old style stick and NGX stick, the Hori can fit on any Neo-Geo Hori stick as well as the Sega Saturn Hori stick but is currently in it's testing phase so it's option is only a place holder. These are replacement feet for your Neo Geo AES, CD system and Old Style Stick. These feet are a little thicker than the stock feet so they help to raise the system a little higher and offer a better grip. Easy to install just peel and stick. 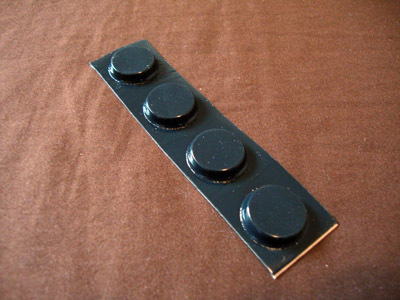 Sold as a set of 4 pieces. These are SNK replacement old style joystick buttons and reset buttons for your AES system. This is for those that want to add a Power LED to your AES and don't want to mess up the only button you have. These are also the same buttons found in the Old Style AES stick. These are pre-modded SNK old style joystick buttons and reset buttons for your AES system. This is for those that want to add a Power LED to your AES and don't want to mess up the only button you have. These are also the same buttons found in the Old Style AES stick. You will need to know how to solder to properly install them in your system. Instructions will be supplied. I am not responsible for improper installation. 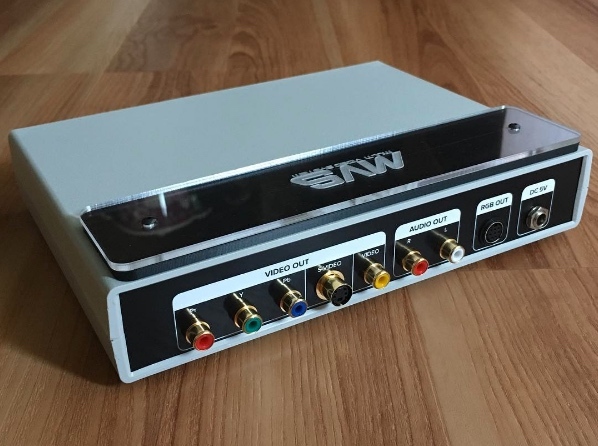 An affordable S-Video mod kit that is readily available. Very easy to put together without all the unneccesary parts. This Kit includes all the components needed to perform the S-video mod using the internal Sony CXA1145 encoder. Comes with Video & Audio jacks as well as caps, resistors and transistors. This kit also works with a 1st Generation Sega Genesis. 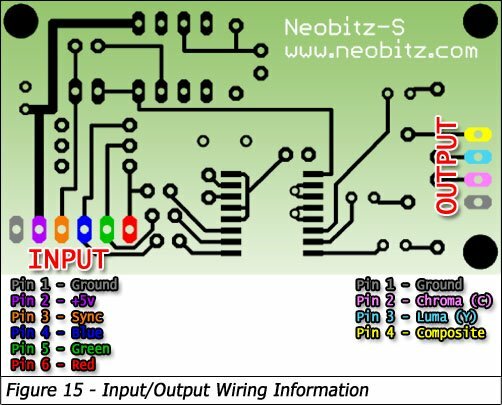 The Neobitz encoder is hands down THE best encoder for the Neo. Crisp picture and vivid colors sets it apart from any other. Simple installation. 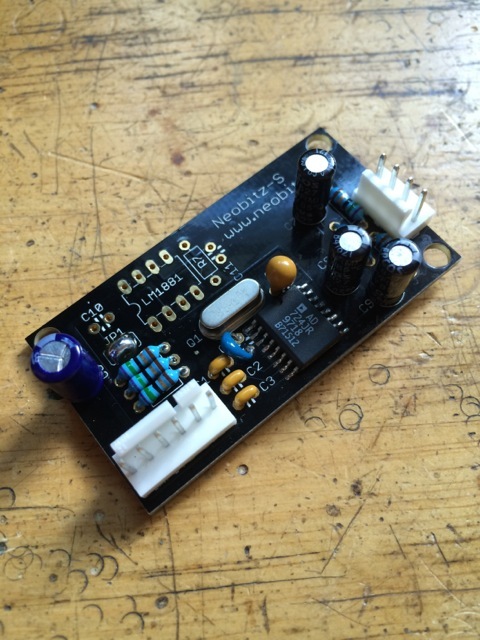 This Kit includes the Neobitz encoder, wires, harnesses w/pins, foam backing, video jacks. If you need rubber feet or audio jacks, they can be added from the drop down when ordering. The deluxe version is a fully wired kit with feet and audio jacks. The other kits you need to wire the harness yourself. 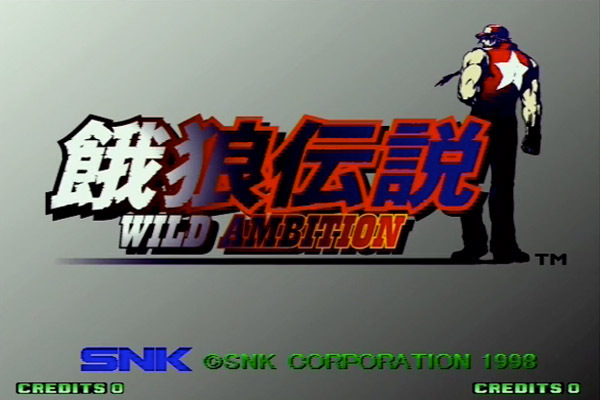 Fatal Fury: Wild Ambition Hyper 64 Kit. 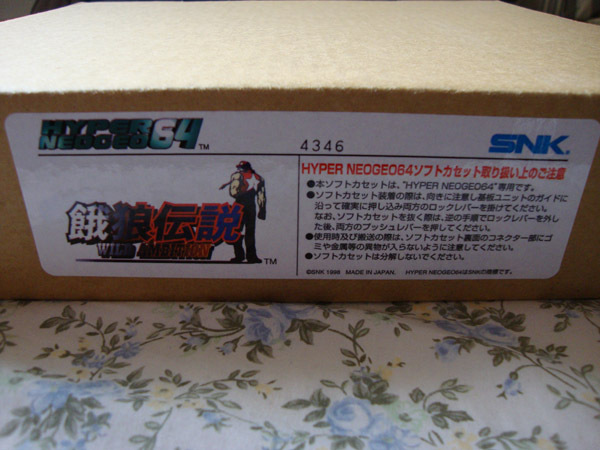 Kit is in NEW unused condition and for use on Neo Geo Hyper 64 hardware and made in 1998 by SNK. 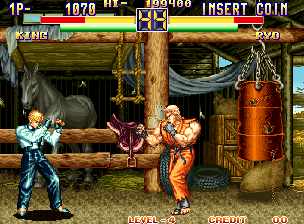 The series goes 3-D in this remake of the original fighting game. 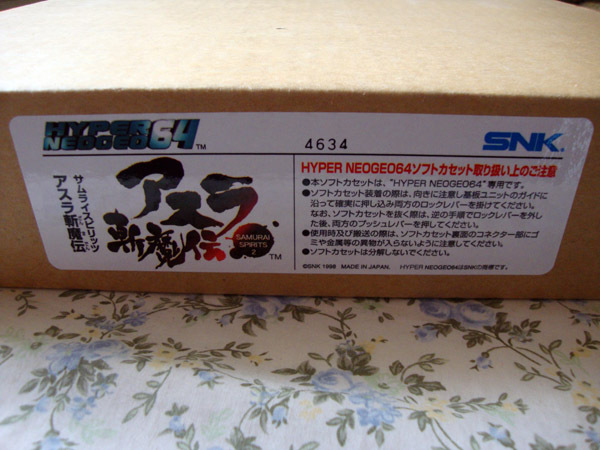 Samurai Shodown 64: Warriors Rage Hyper 64 Kit. 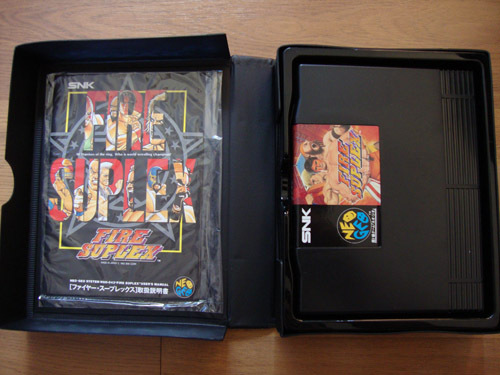 Kit is in NEW unused condition and for use on Neo Geo Hyper 64 hardware and made in 1998 by SNK. 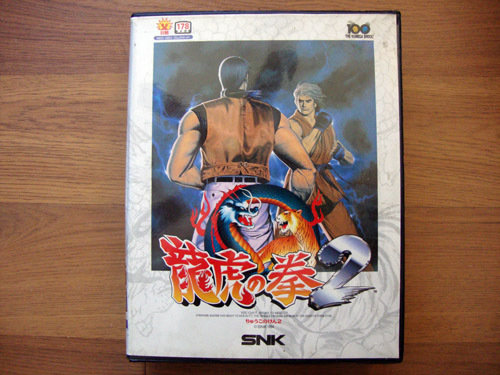 A 3-D fighting game created for the Hyper Neo Geo. Many characters to choose from. Fighting engine has improved from the original on the Hyper 64. 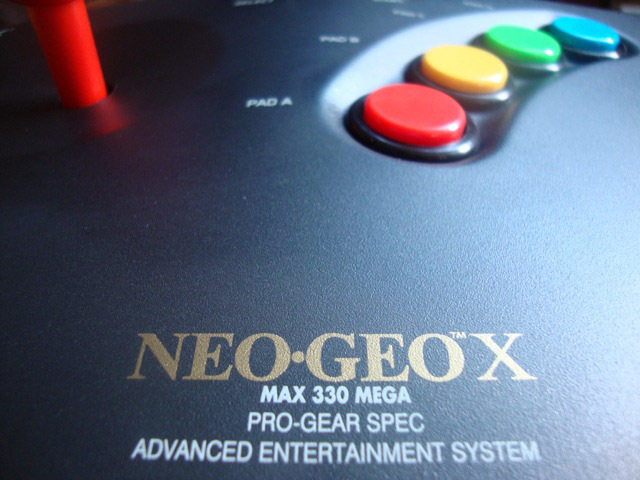 This is a Brand New Neo Geo X stick. 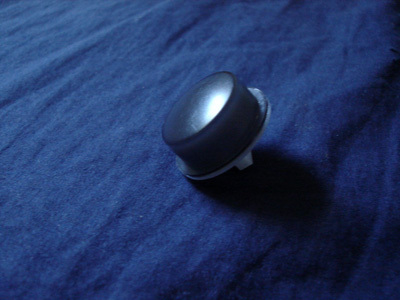 Has been fitted with 24mm Seimitsu buttons for better response and feel. Also has a 35mm Sanwa red ball for better grip as well as red shaft cover. 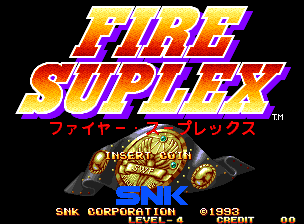 Theme is to replicate the controls on a Super Neo 29 arcade cab. 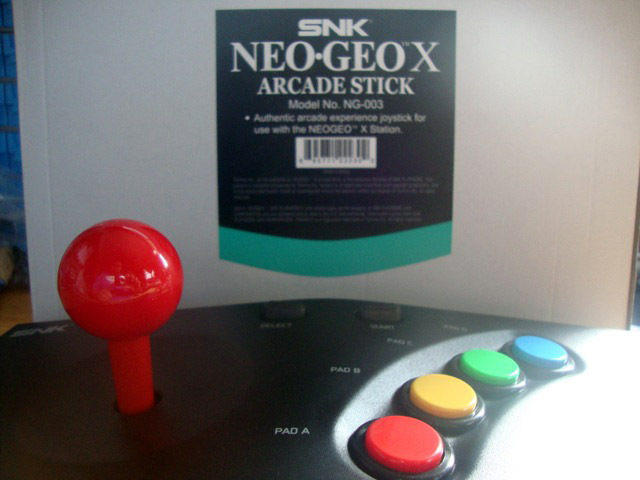 ***Out of Stock, but if you already own a Neo Geo X stick but would like it modded, shoot me a message. 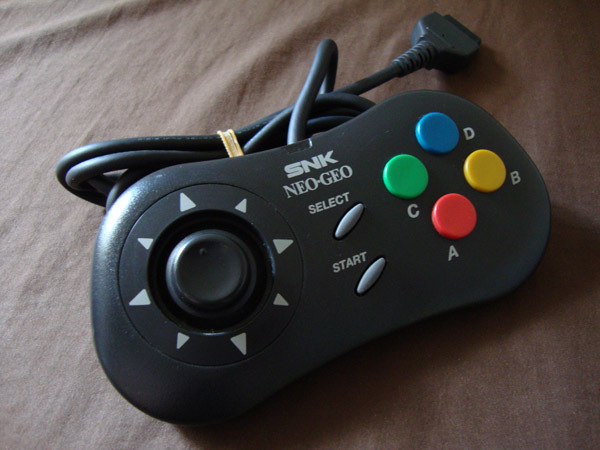 This is a Neo Geo CD Joypad. This controller is loved among many, mostly due to it's arcade like stick feel. 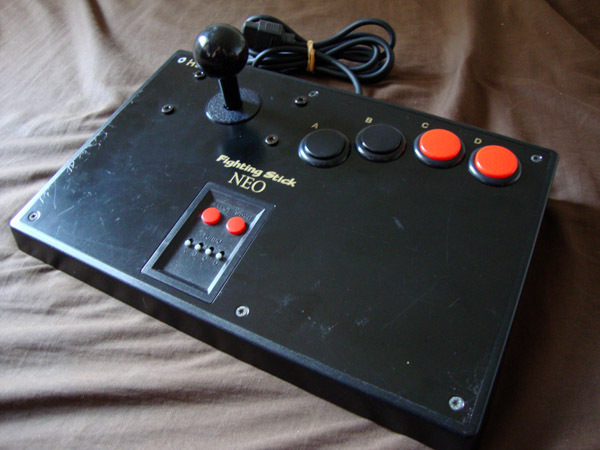 Controller has been cleaned and tested on a Neo Geo AES to ensure 100% functionality. 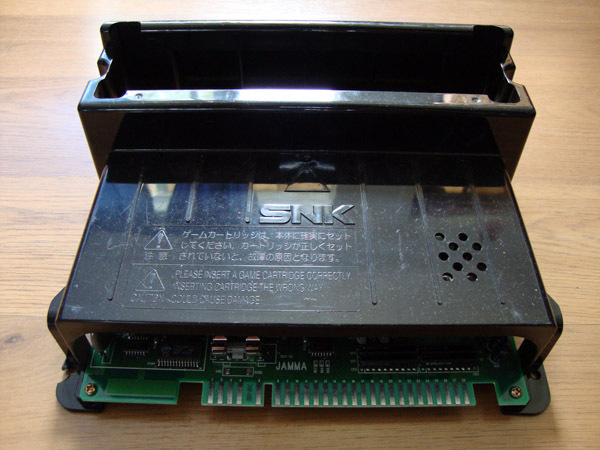 ***Only JNX sells Neo Geo CD Joypads that have been properly cleaned to ensure 100% functionality. ****NOT recommended for use on the Omega CMVS console unless with extension cord. 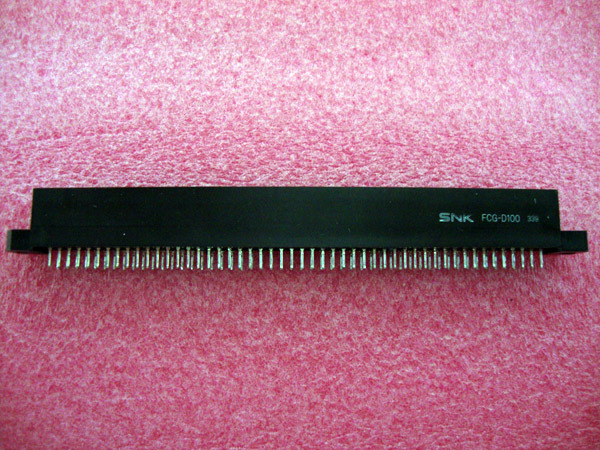 This is a modded New Style AES stick for use on any Neo Geo compatible system. Has been fitted with 24mm Sanwa buttons for better feel and response. Balltop has also been changed for a better feel making it easier for fighting game usage. This is an Old Style AES stick. Has been fitted with 24mm Seimitsu buttons for better response and feel. Also has a 35mm Sanwa red ball for better grip as well as red shaft cover. Theme is to replicate the controls on a Super Neo 29 arcade cab. Logo may be faded and stick is in gamers condition so it may have some scratches. This is an Old Style AES stick. Has been fitted with 24mm Seimitsu buttons for better response and feel. Also has a 35mm Sanwa blue ball for better grip as well as blue shaft cover. 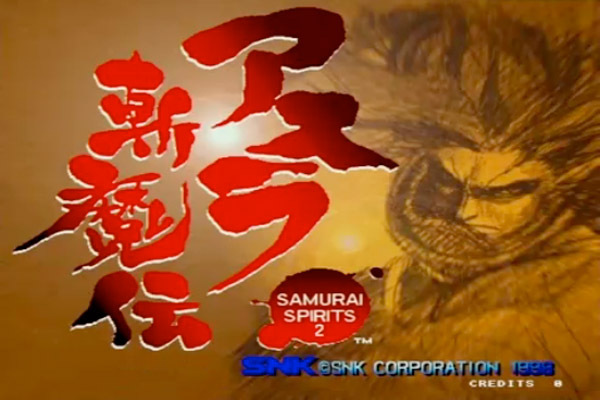 Theme is to replicate the blue and white theme of the newer SNK logo. Neo Logo may be faded. 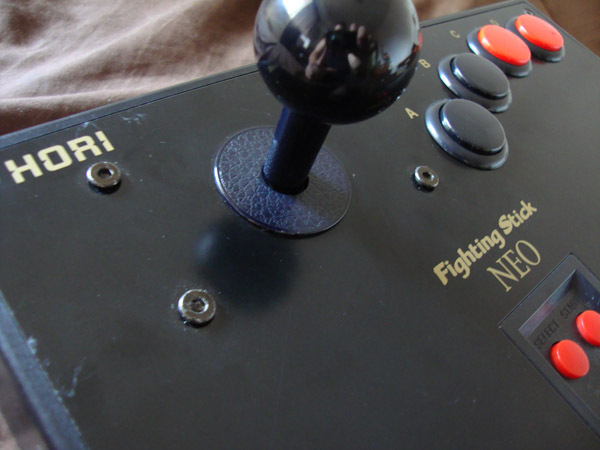 This is a heavily modded Hori Fighting stick. Has been fitted with 30mm Sanwa buttons for better response and feel. Also has a 35mm black ball top for better grip as well as a Sanwa JLF stick with octogate for 8 way greatness. I love this stick, great feel and response, the way a fighting stick should feel. 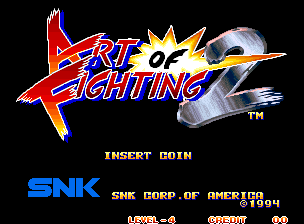 Art of Fighting 2 Neo Geo AES is for use on Neo Geo AES hardware and made in 1994 by SNK. Choose one of twelve characters and battle it out with the others. The final boss is Mr. Big unless you find the secret boss Geese Howard. 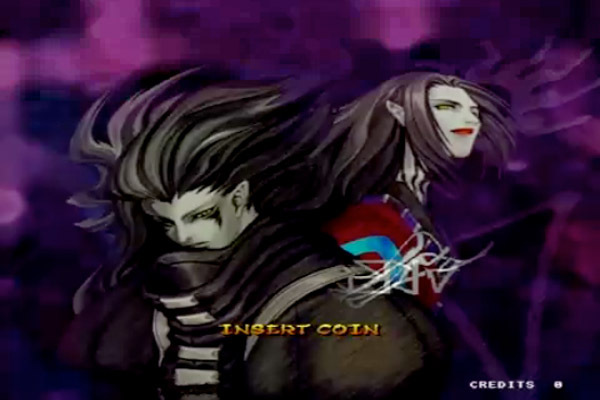 Each character has his or her own ending. 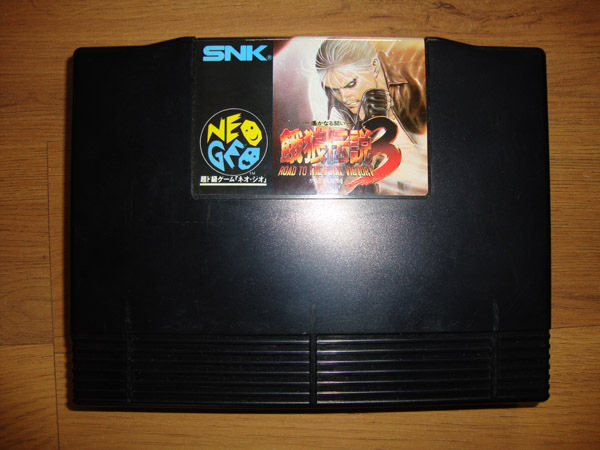 Fatal Fury 3 Neo Geo AES is for use on Neo Geo AES hardware and made in 1995 by SNK. The last game of this early series. 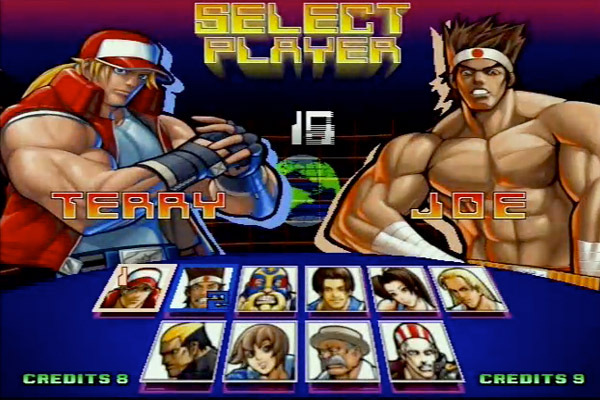 Terry, Andy, Joe, Mai and Geese return to South Town as they are joined by five new characters and three bosses. 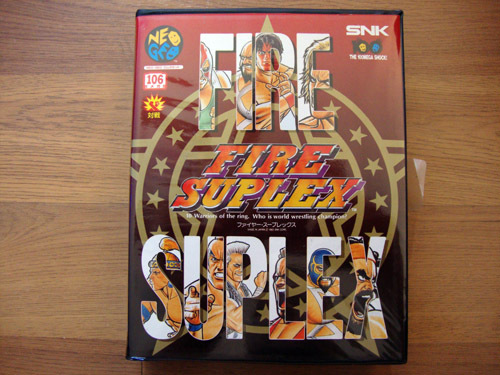 Fire Suplex Neo Geo AES is for use on Neo Geo AES hardware and made in 1993 by SNK. 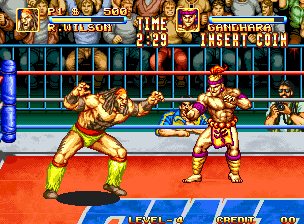 One-on-one wrestling action. Fight your opponent until he cannot take any more, then pin him for the infamous three-count. 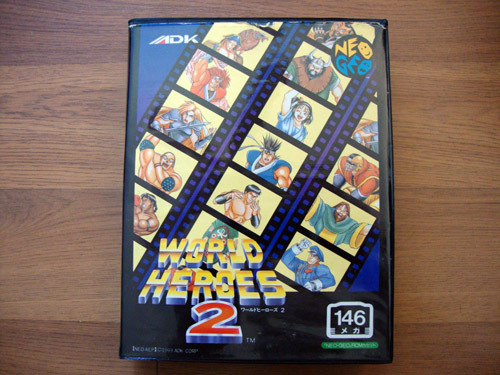 World Heroes 2 Neo Geo AES is for use on Neo Geo AES hardware and made in 1993 by ADK. 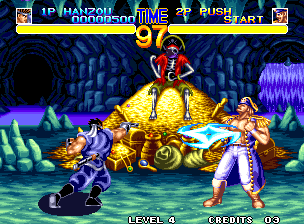 The game is standard fighting game fare where people from different backgrounds battle it out in either normal mode or death match mode. In normal mode you battle every enemy until you reach the last boss. Death match mode pits the fighters against each other in arenas containing other obstacles to avoid besides the opponent. This is an SC Sync Cleaner. These are the sync cleaners I use in my Supergun builds. 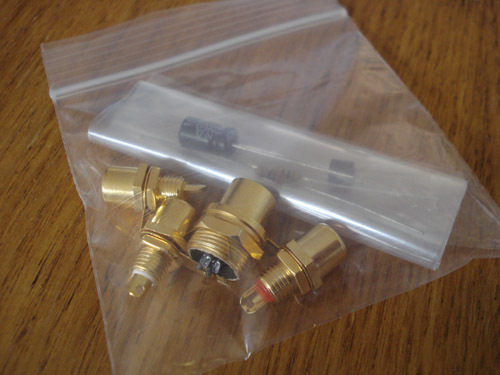 Used on Superguns to clean dirty sync signals, also doubles as a sync seperator. Includes wiring harness. you just may need a sync cleaner. 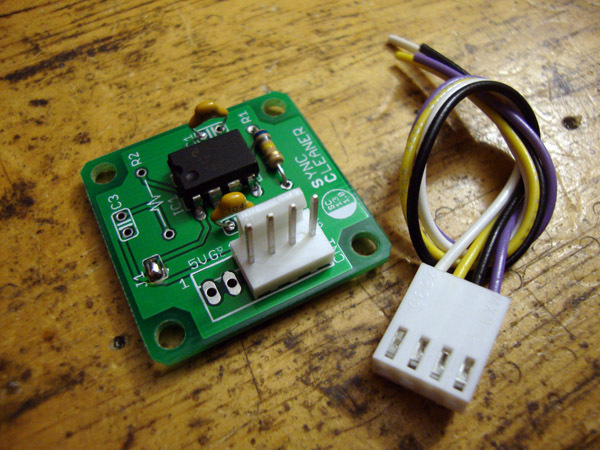 Easily mountable and also uses the LM1881 sync cleaner IC. 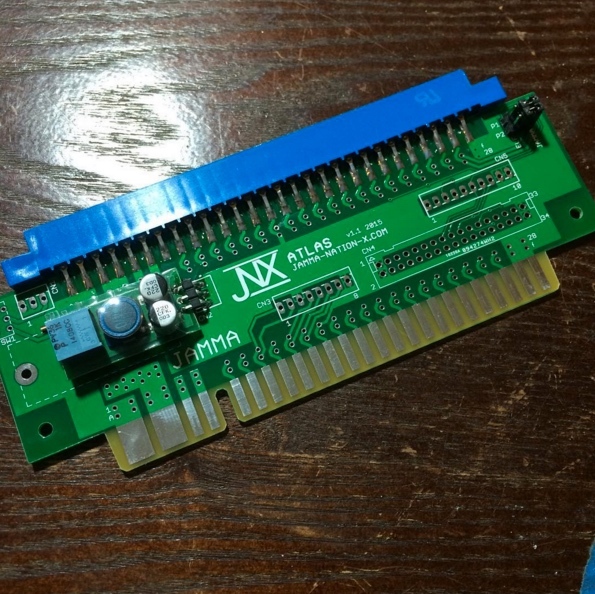 This is a JNX custom Kick harness adapter. Use your existing kick harness on any board you specify. Just plug and play. When purchasing, please choose the correct option from the drop down menu. If the one you need is not listed, choose the "custom" option. 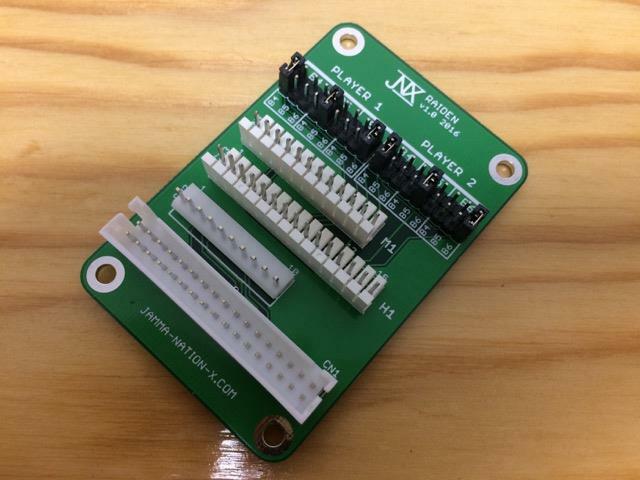 If you choose the "custom" option, please make sure to contact us with what kick harness you currently have and what you need it to connect to. You can also leave that info in the payment notes field. 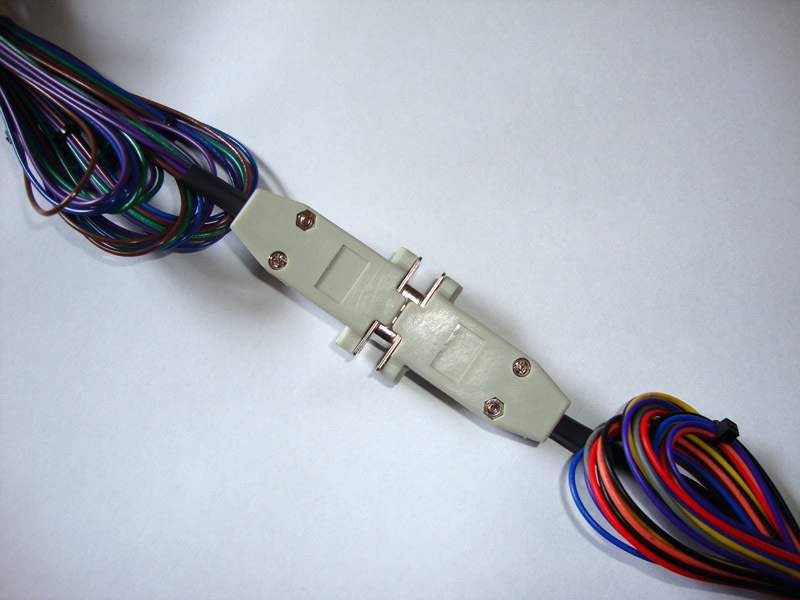 ***Now Supporting the Retroelectronik Supergun Kick Harness. If you need something other than CPS1 or CPS2, just add it to the payment notes or shoot us an email. 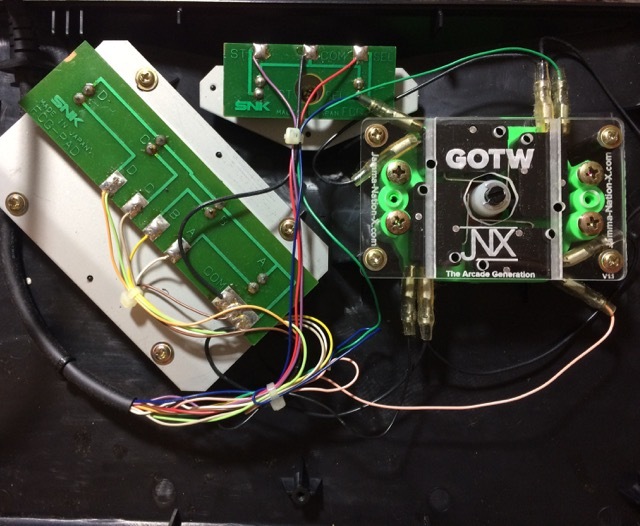 This is a JNX Standardized Kick Harness. 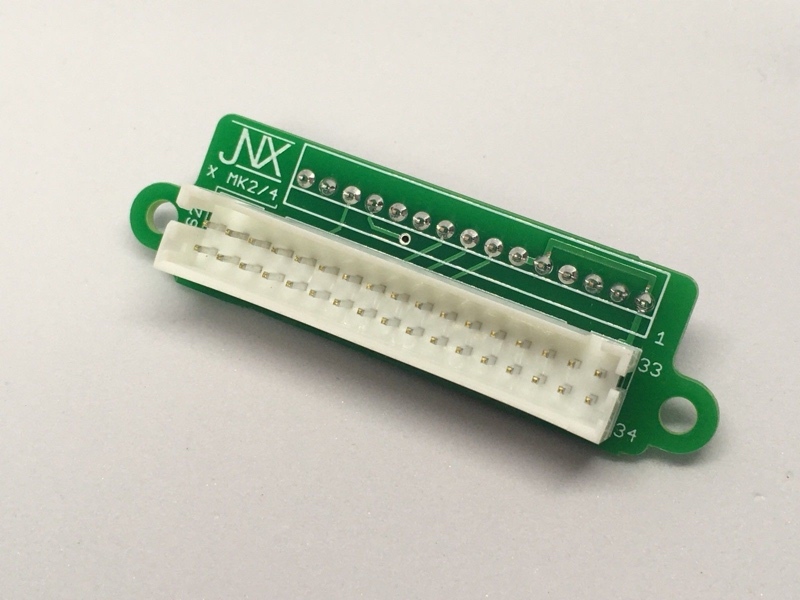 For use with a JNX DB Kick Harness. Made to make cab owners lives easier when switching kick harnesses. Before you would have to remove your kick harness completely to put in another one. With the JNX Standardized Kick harness everything is easier since you leave the base kick harness attached to your kick buttons then swap to the harness you want via the DB9 connector. You can easily build your own set but if you aren't capable these are for you. Very affordable system that saves many headaches. 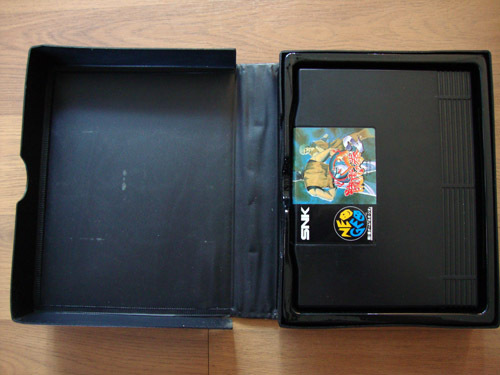 JNX offers DB kicks for CPS1, CPS2, CPS3, Mortal Kombat 1-4 and Others can be requested. ***When ordering please select Quick Disconnect Size. 110 is for Japanese buttons such as Sanwa and Seimitsu and 187 is for Happ and other various brands. Length is 5.5ft and we use real 22AWG wire not cheap 26AWG with thick insulation that is labeled 22AWG. This is a JNX DB CPS1 Kick Harness. For use with a JNX DB Base Kick Harness. Made to make cab owners lives easier when switching kick harnesses. Before you would have to remove your kick harness completely to put in another one. With the JNX Standardized Kick harness everything is easier since you leave the base kick harness attached to your kick buttons then swap to the harness you want via the DB9 connector. 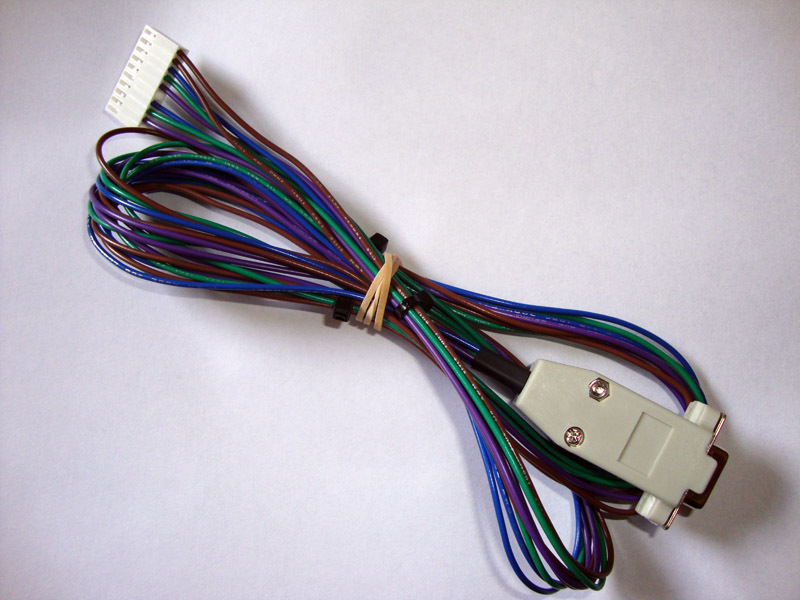 This is a JNX DB CPS2/3 Kick Harness. For use with a JNX DB Base Kick Harness. Made to make cab owners lives easier when switching kick harnesses. Before you would have to remove your kick harness completely to put in another one. 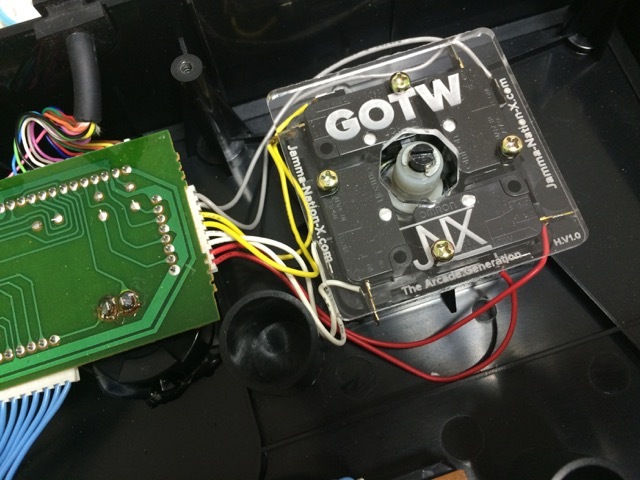 With the JNX Standardized Kick harness everything is easier since you leave the base kick harness attached to your kick buttons then swap to the harness you want via the DB9 connector. 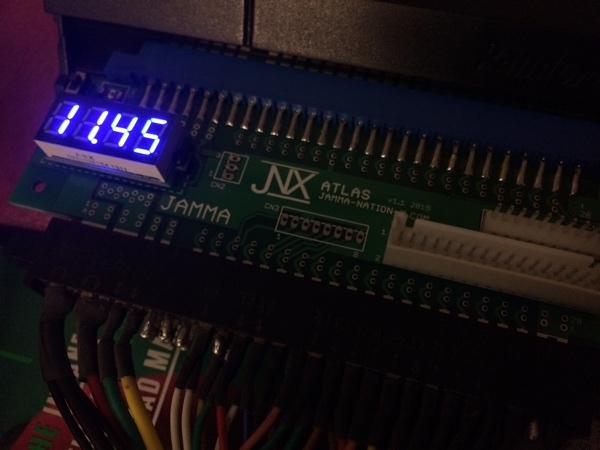 This is a custom made JAMMA Voltmeter that monitors the +5v line on your harness. Just plug and play. 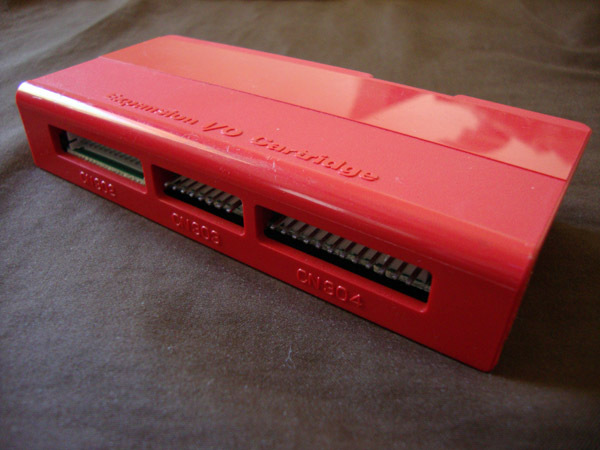 ***JAMMA connector may differ from pictures. 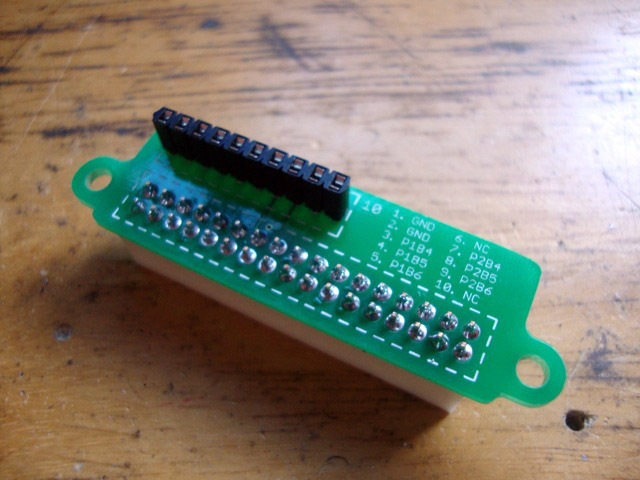 This is a custom made JAMMA -5v adapter that adds the missing -5v power line in a lot of JAMMA cabs. Pre-tuned, just plug and play. Please keep in mind when ordering that we don't always have the negatrons in stock so if out of stock, the negatron will be ordered as the order comes in and takes roughly 1 week to arrive before the adapter ships out. 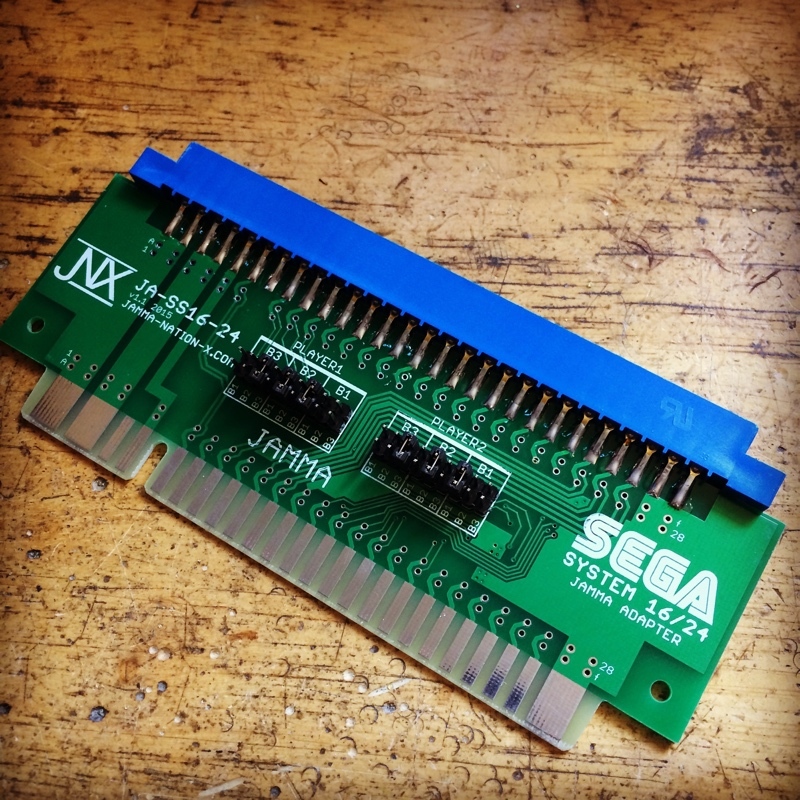 This is a high quality SC Sega System 16/24 to JAMMA board adapter. Just plug and play. This adapter also lets you remap the buttons by simply moving jumpers. 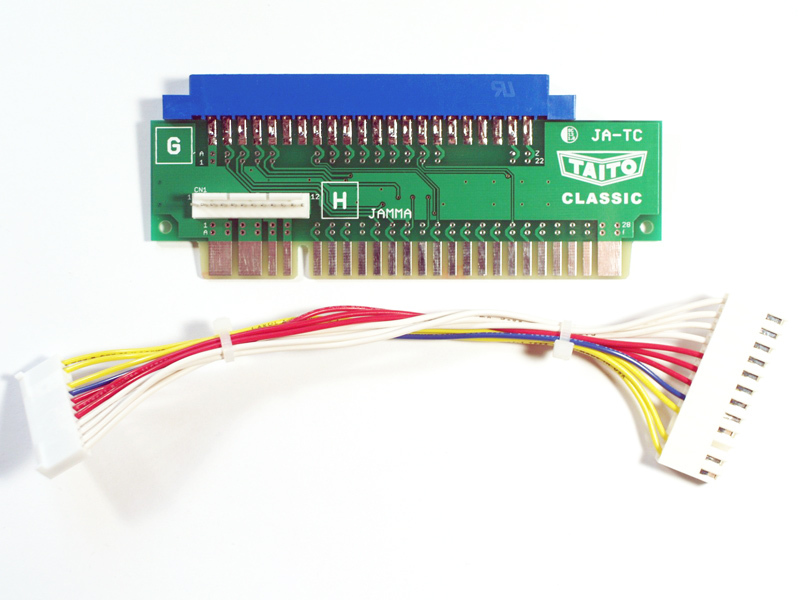 This is a high quality SC Taito Classic to JAMMA board adapter. Just plug and play. All JNX Custom Superguns are sold with a 1 year parts and labor warranty. No other Supergun maker tops that. Buy with trust. Don't fall for gimicks or a fancy presentation. 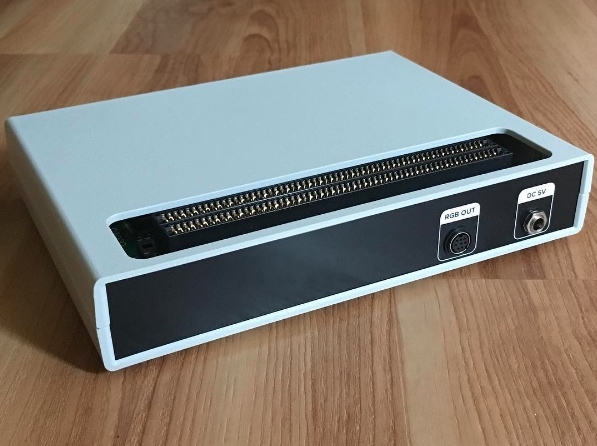 If you'd like to request a custom built Supergun, please use the contact on the services page for the request. All JNX Custom CMVS units are sold with a 1 year parts and labor warranty. No other CMVS maker tops that. Buy with trust. Don't fall for gimicks or a fancy presentation. This is the OMF CMVS by JNX. 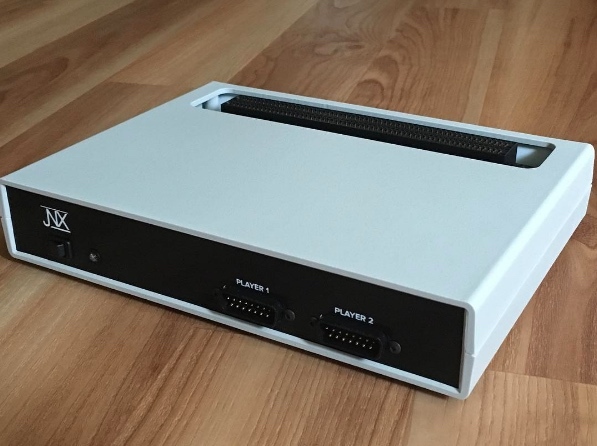 It is a consolized MV-1C MVS board in a white/black "panda" enclosure. Available Outputs are Component, S-video, Composite, RGB. The onboard battery has been replaced with a non-rechargeable coin type that is easy to change, usually lasts about 2 years. Included is the power supply, and video cables. Dust cover is optional and is $15. CMVS prices range from $250-425, depending on configuration. Price does not include shipping. Shipping insurance is included with shipping price. Click thumbnail to view product image(s) Orders are Currently Closed!!! Neo Geo MVS MV-1B Motherboard made in 1999 by SNK. 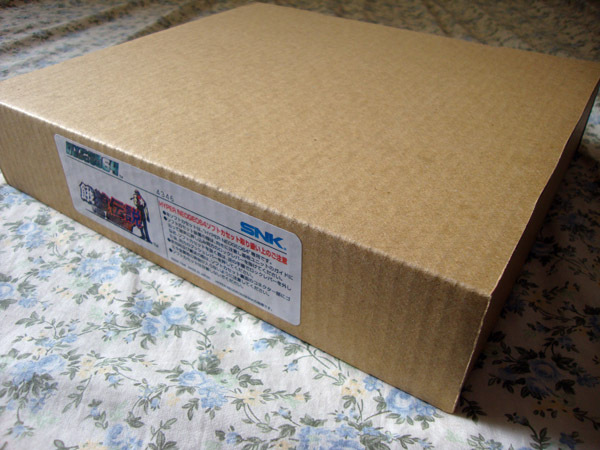 The MV-1B is one of the last motherboards released by SNK. The board is a horizontal (side). This mobo is 100% jamma compatible. 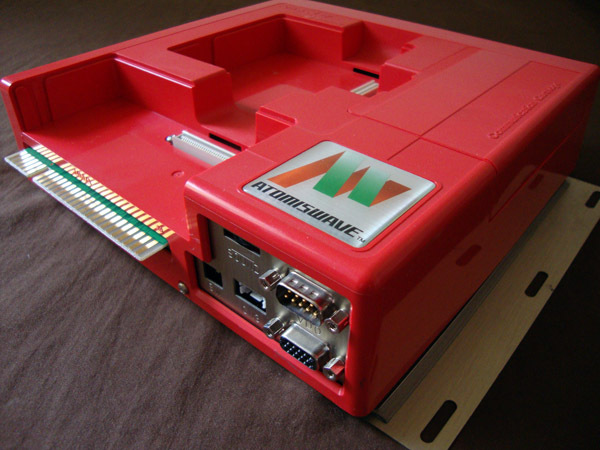 A Unibios 2.3 is included using the NeoBiosMasta. If you would like to have a Unibios 3.0 installed on the board, please select the correct option when ordering. Neo Geo MVS MV-1C Motherboard made in 1999 by SNK. The MV-1C is the last motherboard released by SNK. The board is a vertical (top) loader making it very easier to change games compared to the side loading boards. This mobo is 100% jamma compatible. A Unibios can easily be added using a NeoBiosMasta. If you would like to have a Unibios 2.3 or 3.0 installed on the board, please select the correct option when ordering. All MVS boards we sell are cleaned and guaranteed against DOA. Registered means it is qualified for free updates when new versions are released (Buyer covers shipping of chip both ways when updating). Since the existing battery on your MVS board is rechargeable, it requires to be charged for so many hours in order to save the backup data. With this kit you no longer need to charge your onboard battery. Battery holder fits on MV2F, MV2, MV1, MV1A, MV1F, MV1FS, MV1FZ, MV1T, MV4FT and MV6 (Reverse Mount). Please visit our tutorial section for instructions on proper installation. 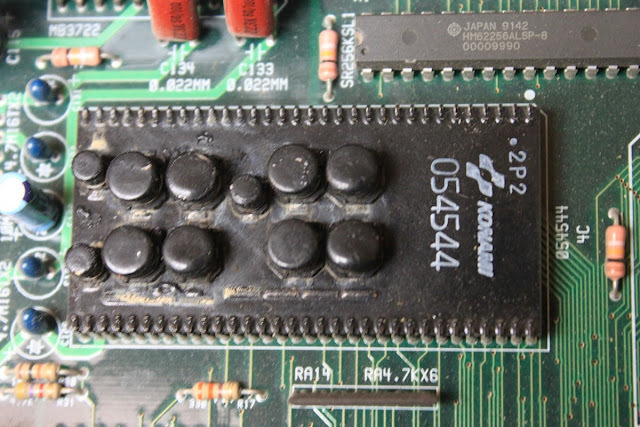 Jamma Nation X is not responsible for any damage if installed incorrectly. Do not install the battery kit without disabling the battery charging circuit, view the tutorial on how to disable it. 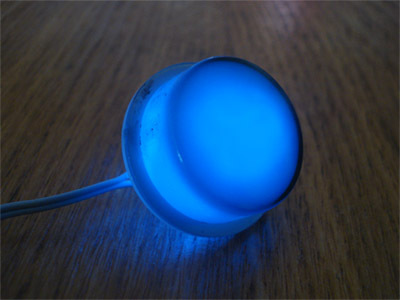 This gadget is only available for purchase at neogeofanclub.com. The purchase link below will take you to the site to purchase it. Please note that it is a product that you are buying directly from the maker of the product. 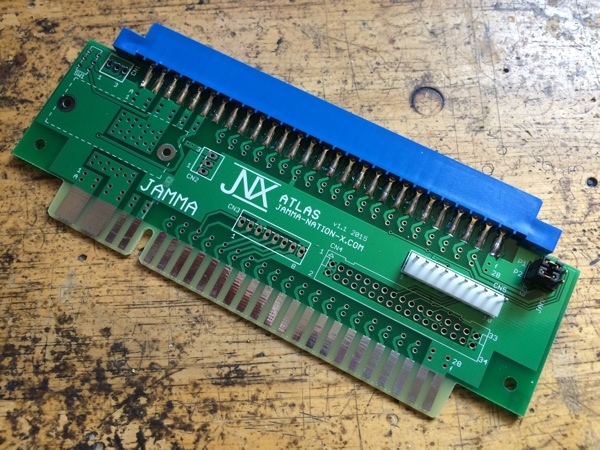 This item will be shipped directly from the maker and not Jamma Nation X. 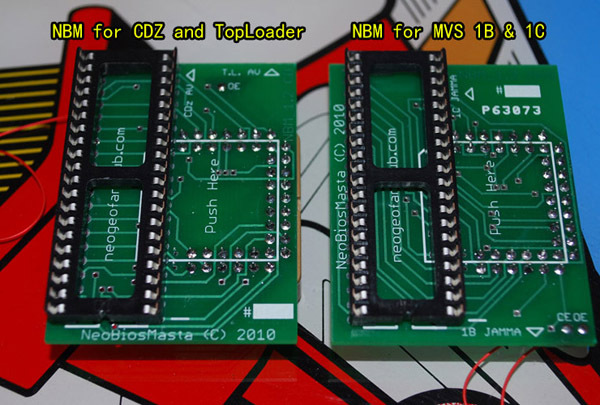 The NeoBiosMasta is a gadget that was created to easily adapt a Unibios to an MV1C and MV1B MVS board. 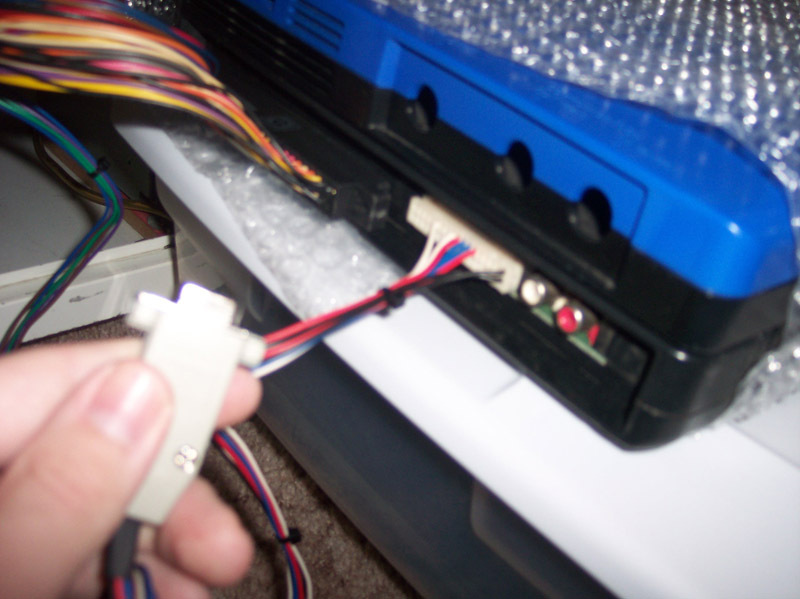 The original method called for a total rewire of the stock bios location by wiring 40 individual wires. This device only needs 2 wires. 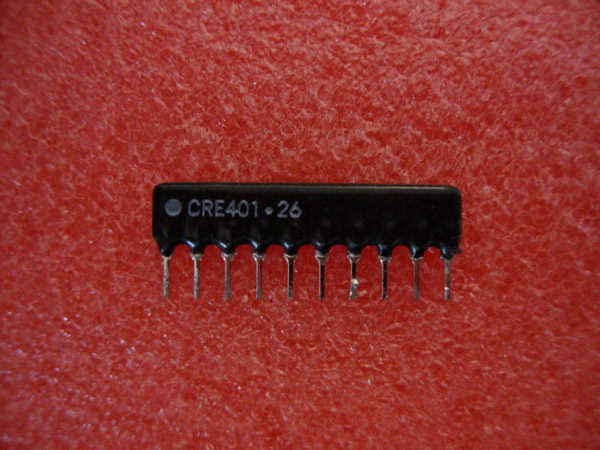 CRE-401 Resistor Pack, pulled from MV1C parts board. 100% working. 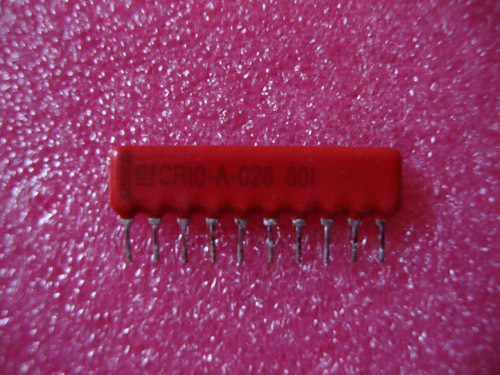 CRIO-A26 Resistor Pack, pulled from MV1F parts board. 100% working. 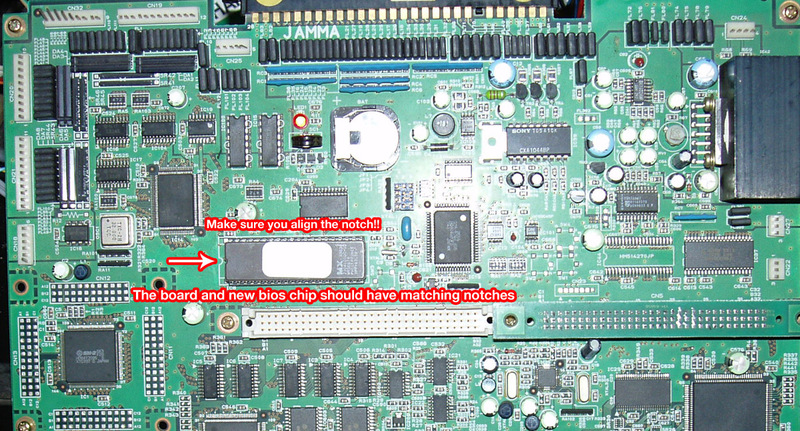 Neo Geo OEM Bios, pulled from an MVS parts board. 100% working. 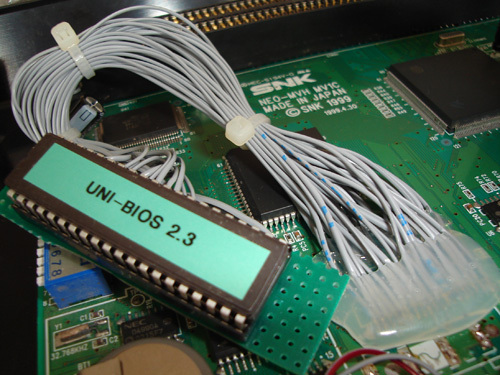 Neo Geo Diagnostics Bios made by smkdan. An elaborate diagnostics bios that tests your hardware and reports any problems. Also includes ability to run additional loop tests for Work RAM, Video RAM, Palette RAM and Backup RAM. Works on MVS and AES formats. A CHAR board is needed for sound section testing. ***We provide the current version of the Neo diagnostic bios. 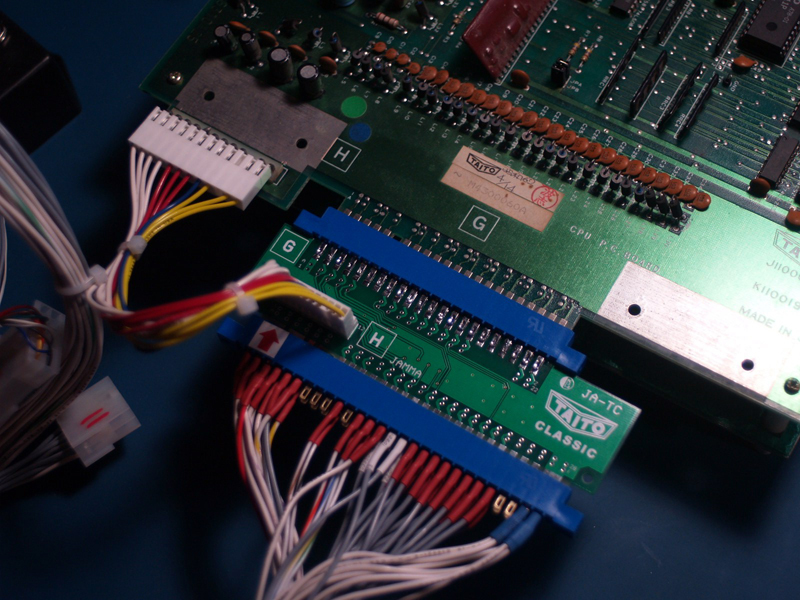 The Neo Diagnostics set for MVS includes the bios, M1 and an MVS CHAR board with a socketed M1. To keep costs down, the CHAR board may contain other chips which do not intefere with the testing. 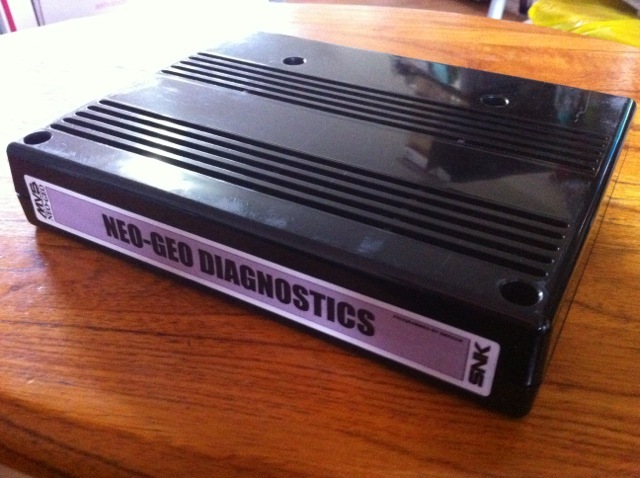 Neo Geo Diagnostics Bios made by smkdan. An elaborate diagnostics bios that tests your hardware and reports any problems. Also includes ability to run additional loop tests for Work RAM, Video RAM, Palette RAM and Backup RAM. ***We provide the current version of the Neo diagnostic bios. This set will test the same functions as the Neo Diagnostics bios but also test the sound hardware. 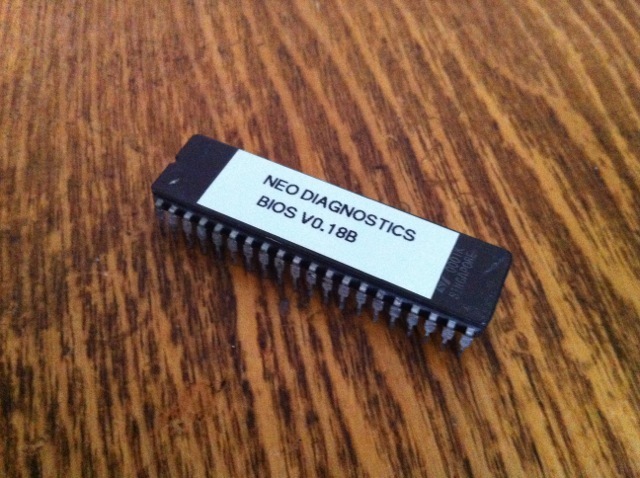 **The Neo Diagnostics set for MVS includes the bios and an MVS CHAR board with a socketed M1. To keep costs down, the CHAR board may contain other chips which do not intefere with the testing. 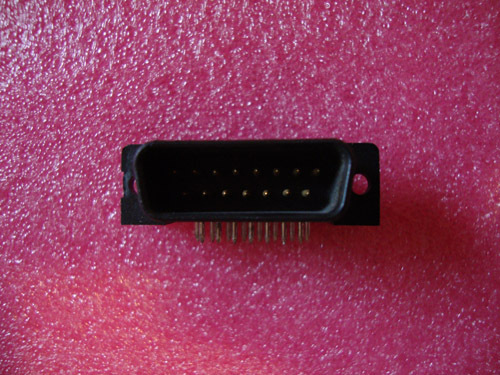 Neo Geo OEM Controller Ports, pulled from an MVS parts board. 100% working. 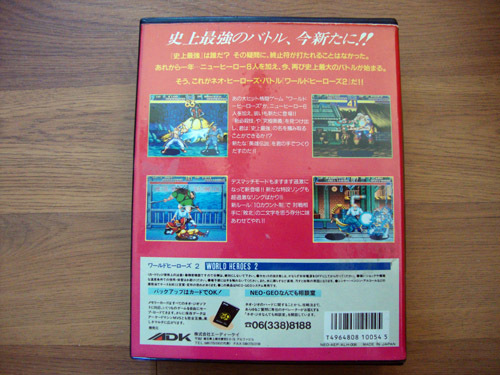 These are the extended "deep" hoods found on all Neo Geo AES, Neo CD/CDZ and some MVS boards. 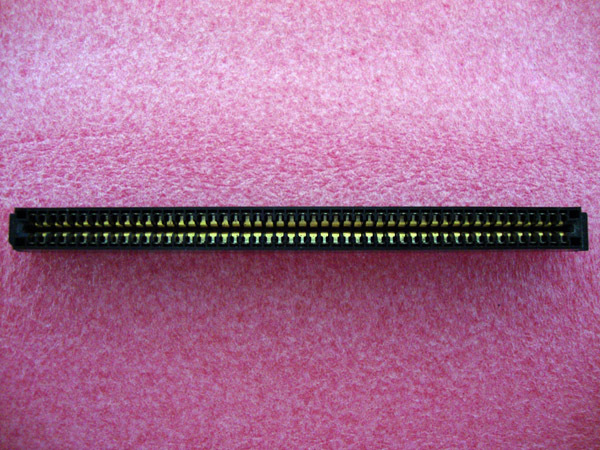 AES OEM Slot Connector, pulled from AES parts board. 100% working. Each connector is a dual edge 50 pin type, 100 pins total. This is a replacement CPS2 fan for A boards. 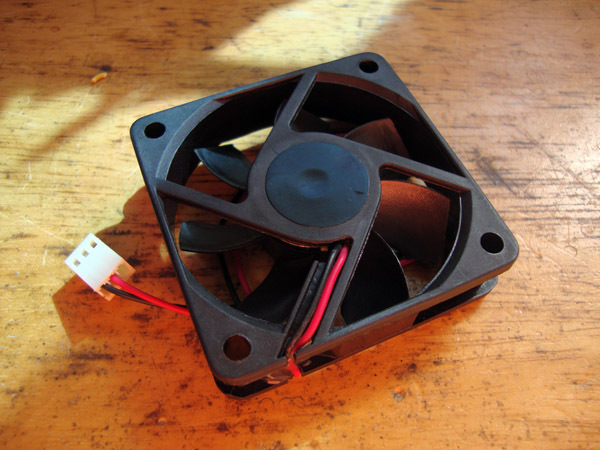 This fan is nice and quiet at ~17dBa and 17.3cfm. The original CPS2 fan is rated at 30dBa, sounds like a jet engine. Just open your A board and remove the old fan and drop this one in. Comparable to the Papst-612FL fan which costs $20+ with 16dBa and a 11.2cfm rating, get better airflow and near quietness for a FRACTION of the cost. Installation instructions can be found in the tutorial section under Other>Arcade Misc. I've been personally using these fans for the past 7 years. Due to some requests they are now being offered in the store. 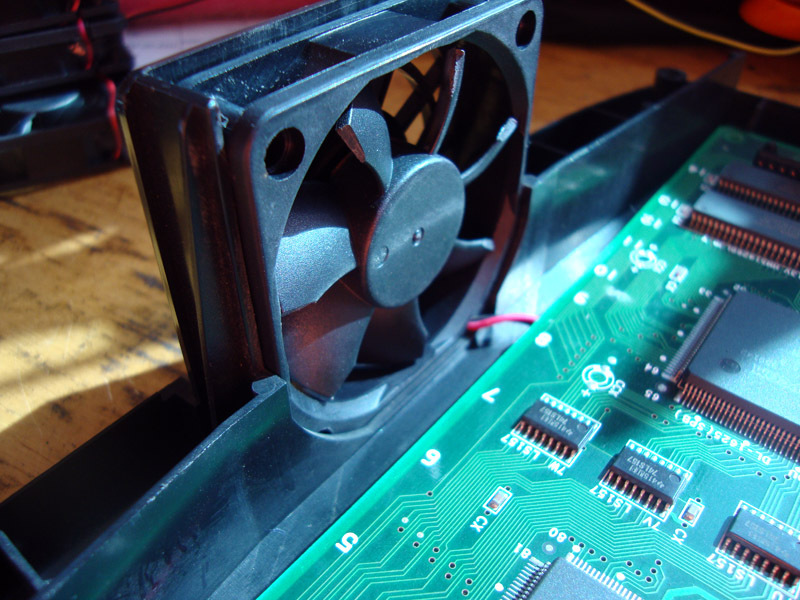 This fan can also be used as replacements for a Sega Naomi case fan, make sure you choose the option for the Naomi from the drop down box as the Naomi fan has a longer wire harness than the CPS2 one. 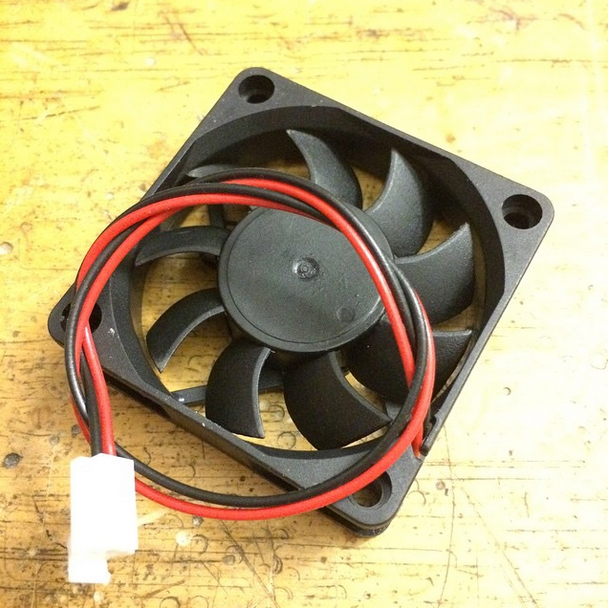 These fans are intended for use in game cabinets, if you are looking for a fan for use with a consolized CPS2, I highly recommend the Papst 612-FL as it will be way quieter. 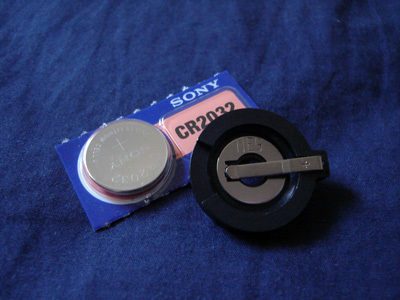 Konami HSC Cap Kits contain the SMD caps you need to replace on the Hybrid sound chip. Please choose the correct cap kit when ordering. Cap Kit #054544 is for X-men and Xexex. Cap Kit #054986A is for GI Joe, Lethal Enforcers, Metamorphic Force and Run & Gun (Run & Gun Requires 2 kits). 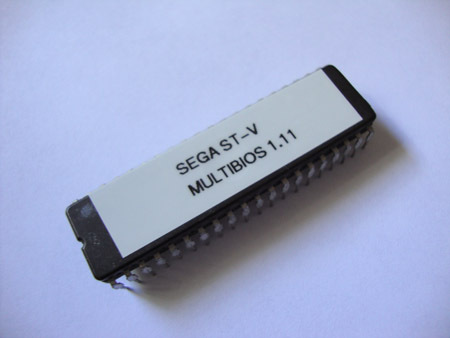 Sega ST-V Multibios v1.11 for Sega ST-V Arcade System. Version is 1.11. 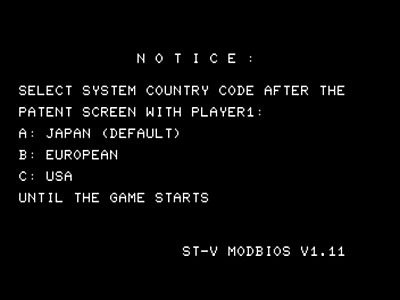 Select from 3 Country codes; Japan (Default), European and USA. Your Country setting will be saved in the onboard backup memory. Keep in mind that not all games run in any region, certain games can only be run in 1 region. ***Very Important, when ordering make sure you choose the correct chip type. There are 2 versions of the Sega ST-V bios. If your stock bios chip says M27C4002 then select the "4002" option. If your bios doesn't say M27C4002 then select the "mask" option. The Ault SC200 is no longer in production so limited stock is on hand. 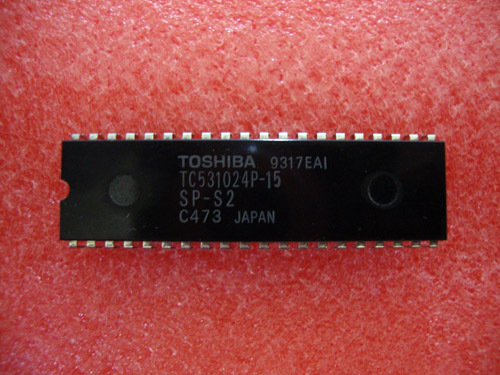 This PSU was widely used in Supergun applications for it's dual voltage output. Please note that you will need a standard 3 prong plug to power it up and it requires a 5 pin DIN socket for the output (Available option in drop down bar). Please see pics. **If you are interested in buying more than 2 units please contact me for a shipping discount. I can fit around 5-6 in a flat rate box. Battery holder fits on MV2F, MV2, MV1, MV1A, MV1F, MV1FS, MV1FZ, MV1T and MV4FT. This is a custom made S-video/Stereo cable for Sigma AV6000, AV7000 and Raijin Superguns. Be careful when buying these from other places as the Sigma video socket is U shaped and some places make cables with a C shape connector which ends up damaging the socket. This cable outputs S-Video, Composite and Stereo. Atomiswave Arcade system by Sammy. Made in 2003 by Sammy. 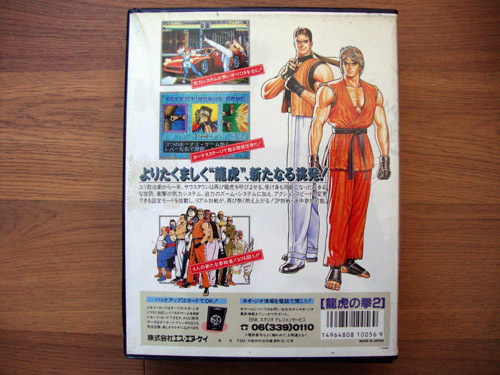 An arcade system that is similar to CPS2 and MVS using a cartridge system. Motherboard outputs VGA and also supports I/O devices and Network play. Atomiswave Expansion Port IO by Sammy. Made in 2003 by Sammy. 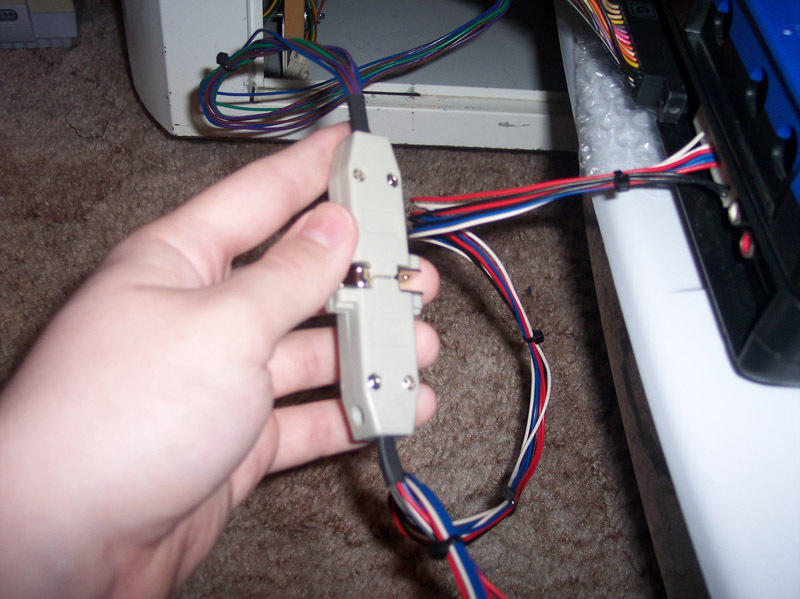 The Expansion Port is needed to connect peripheral equipment such as guns, steering wheels and the like to the atomiswave system. 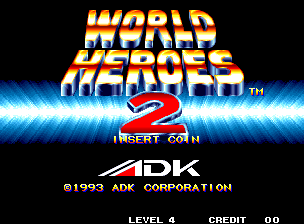 --Working MVS game cartridges. If you want to get rid of a bunch of them, let me know. If you have any for sale, please contact us.